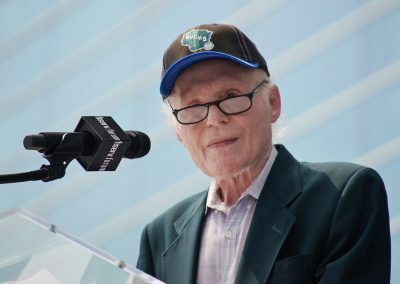 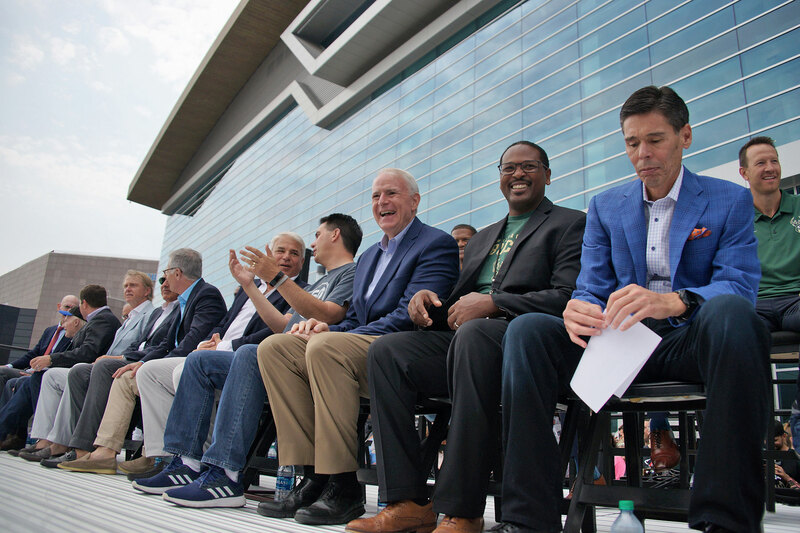 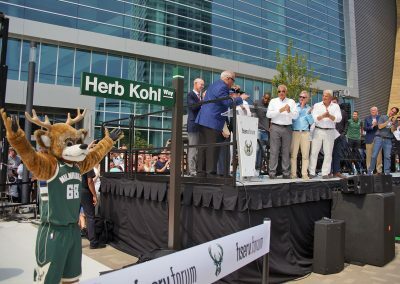 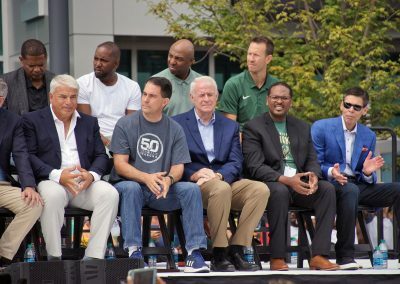 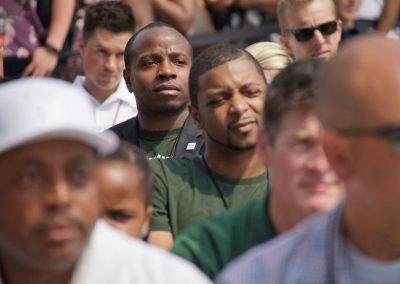 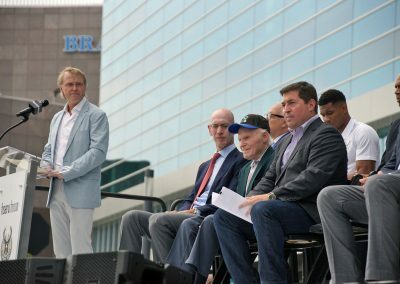 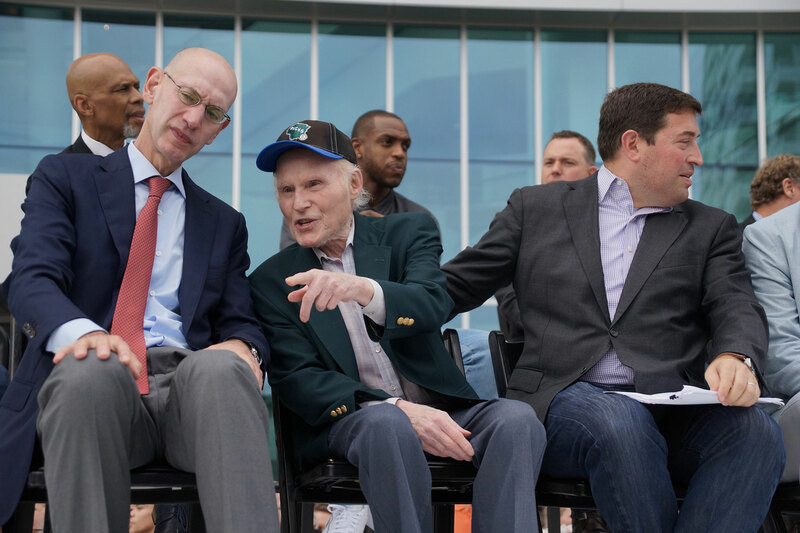 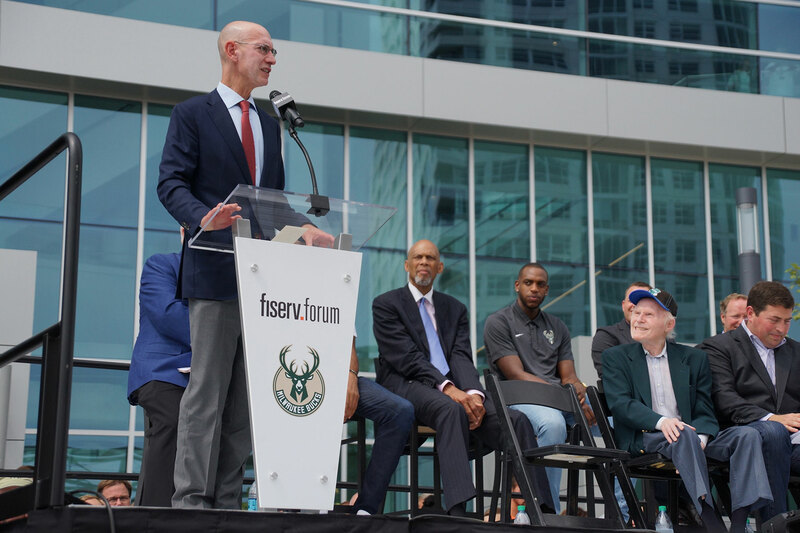 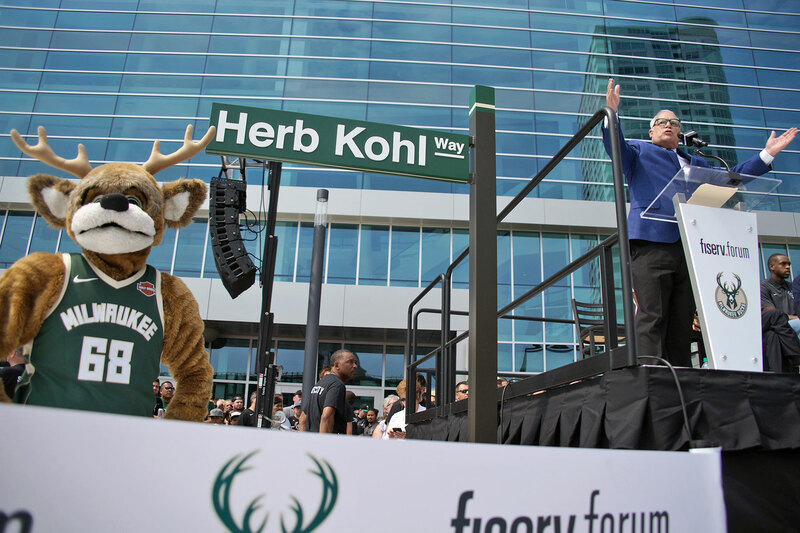 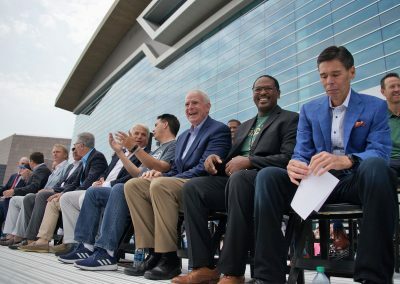 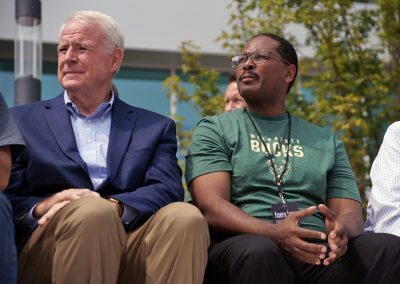 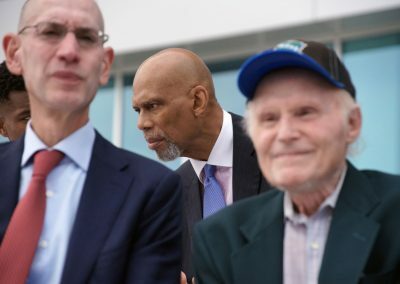 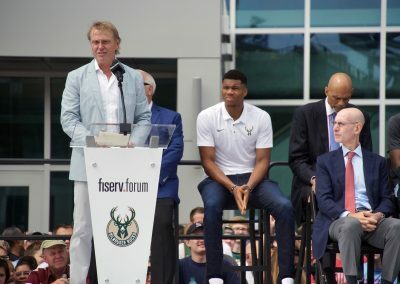 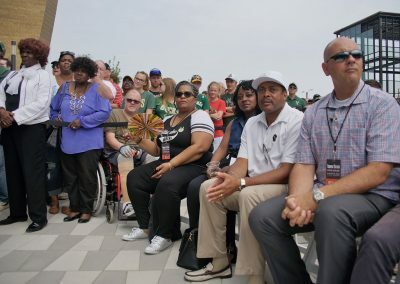 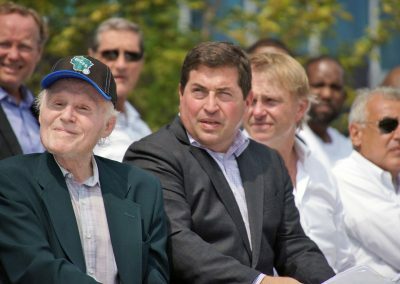 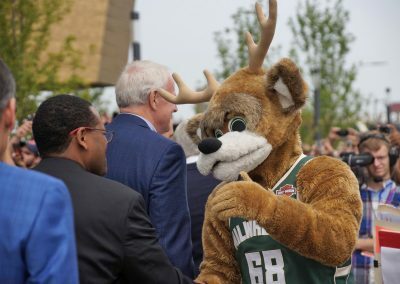 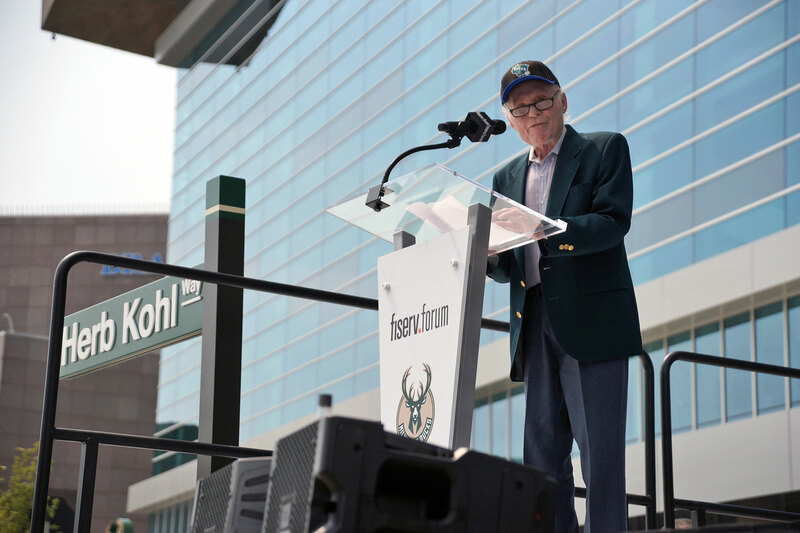 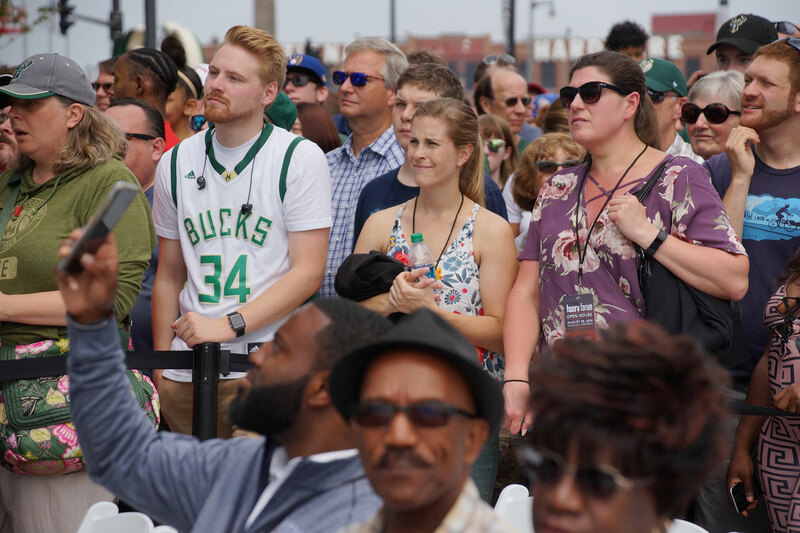 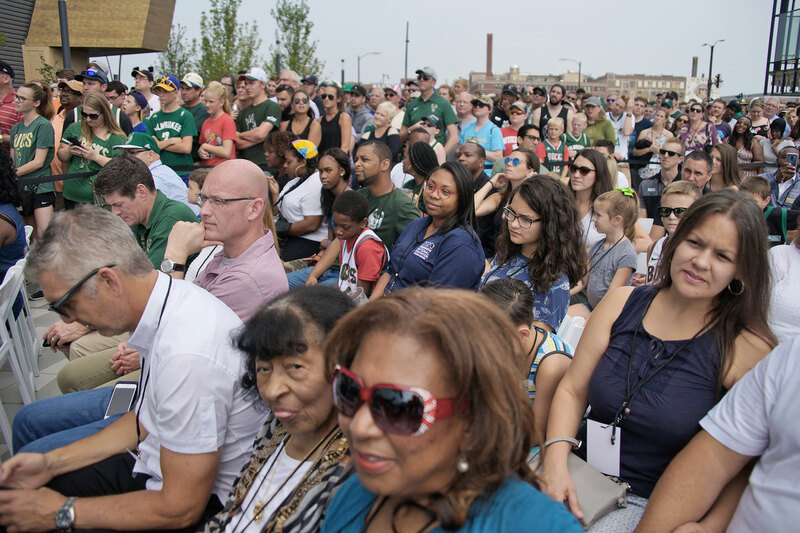 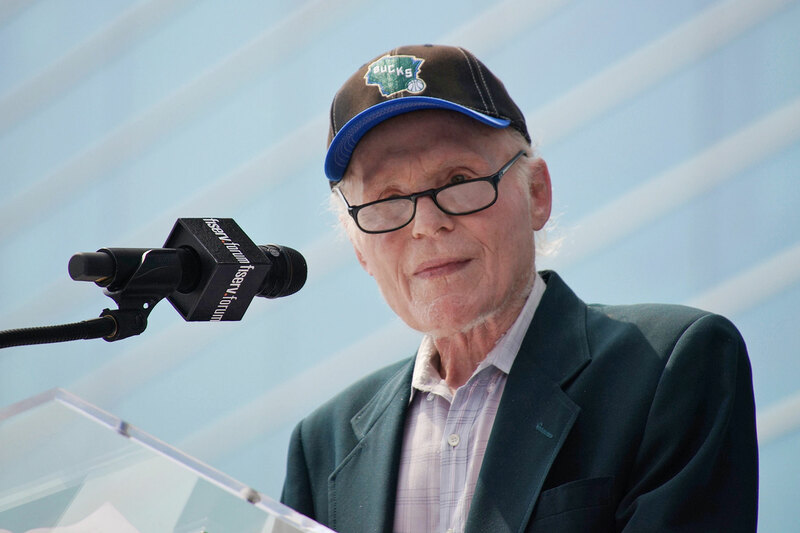 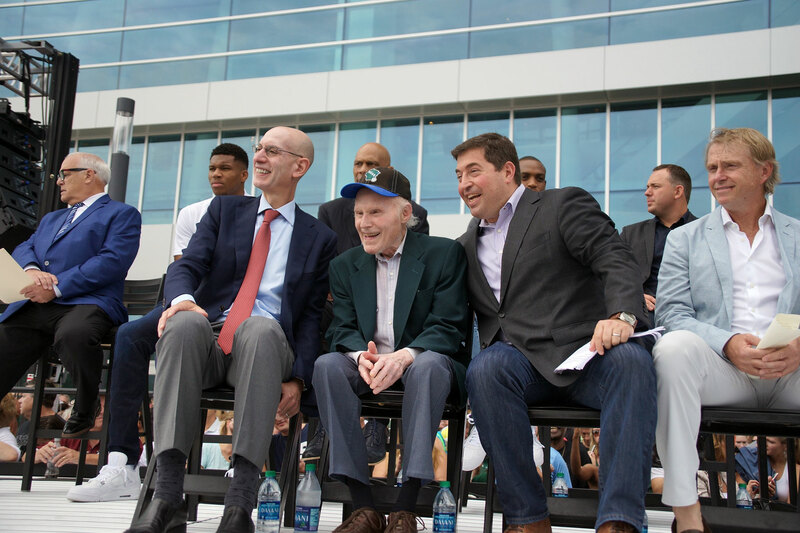 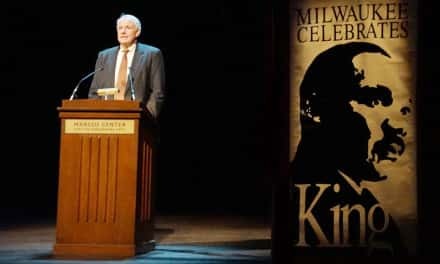 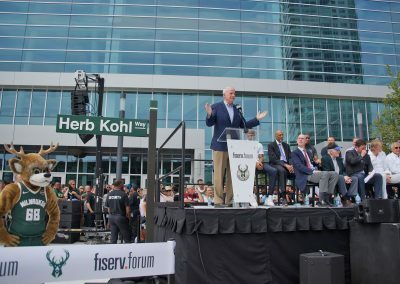 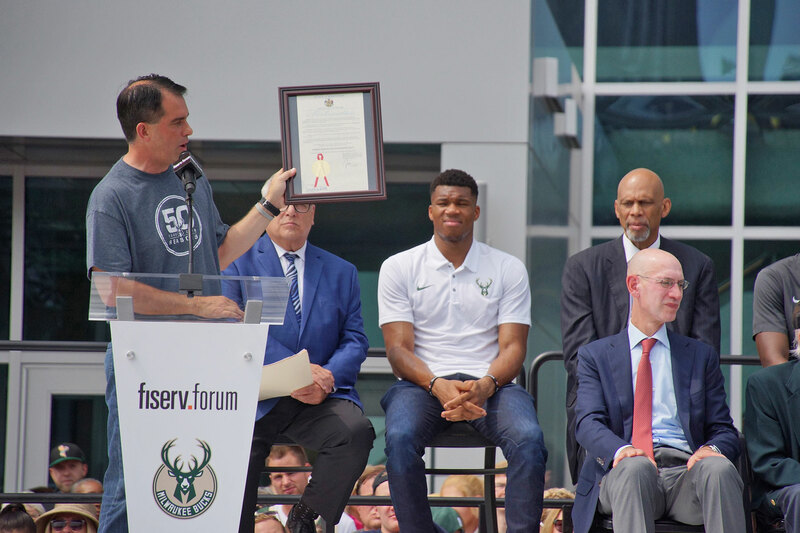 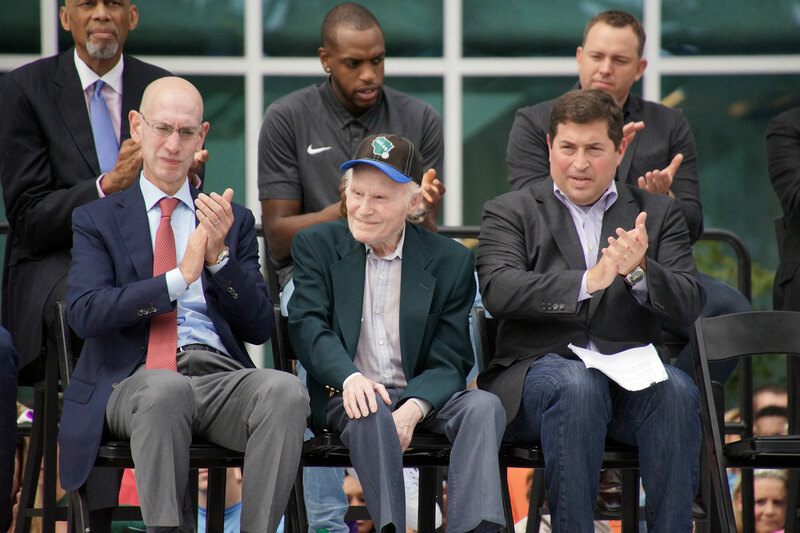 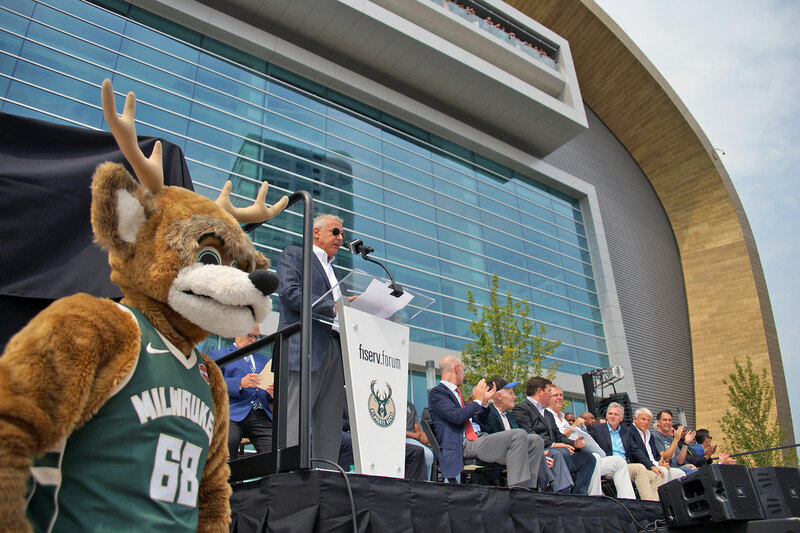 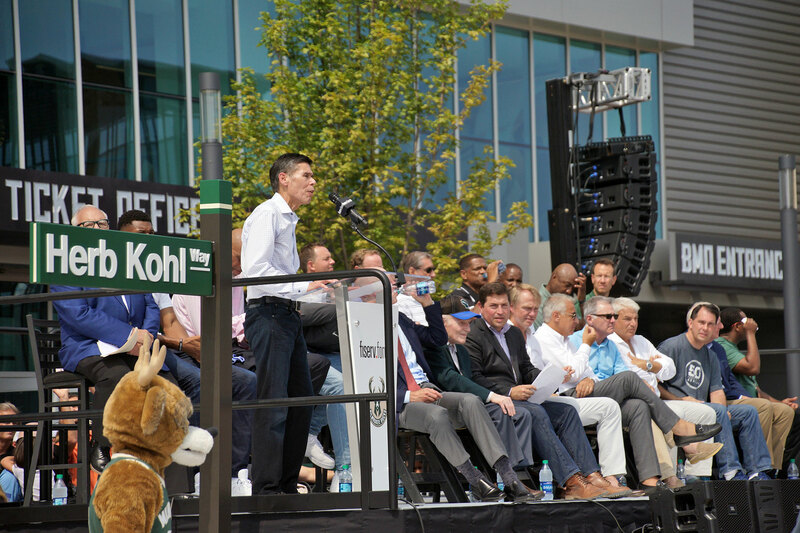 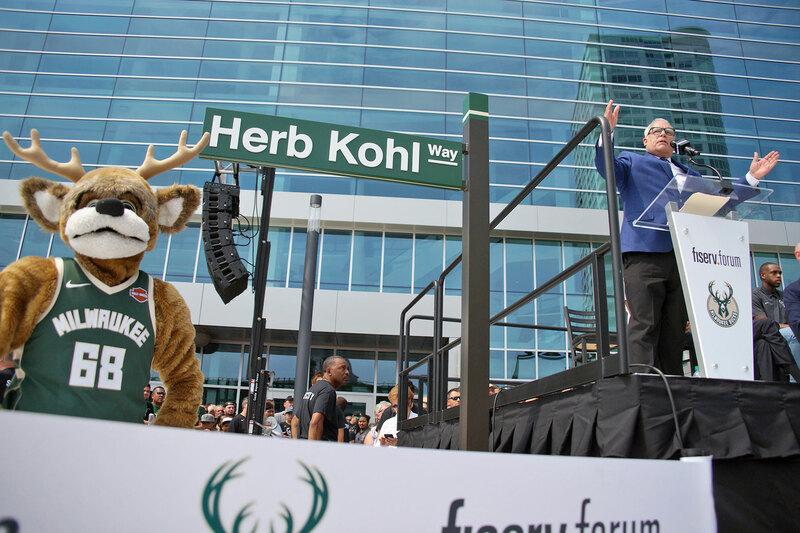 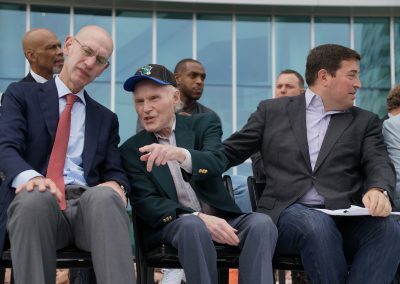 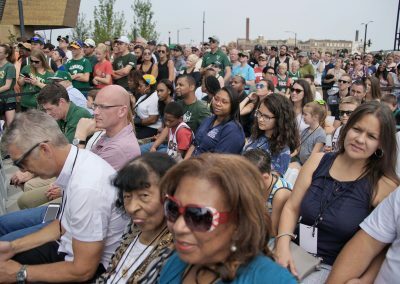 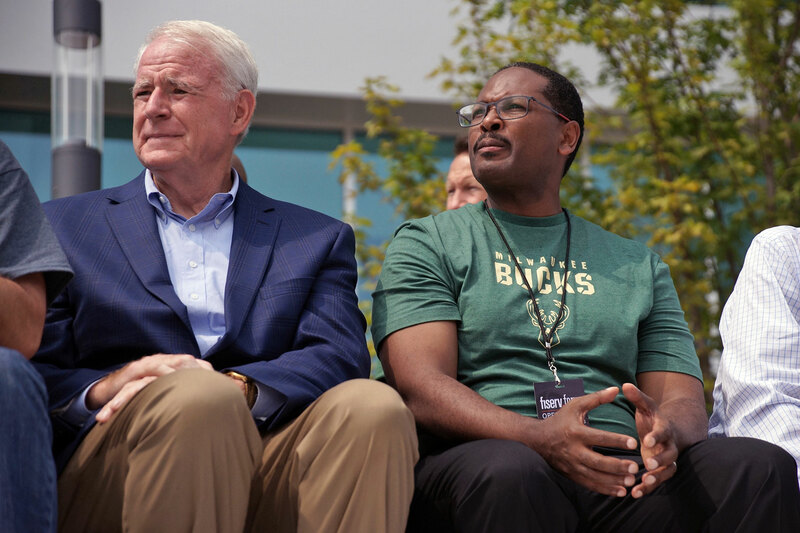 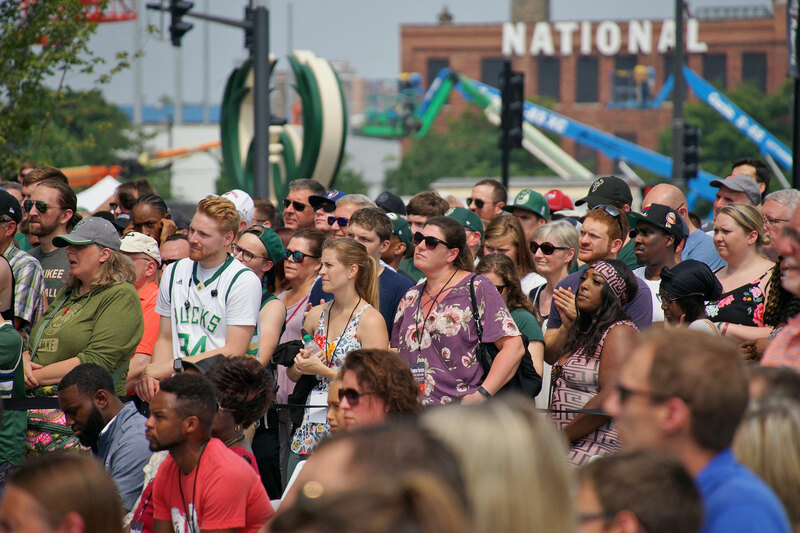 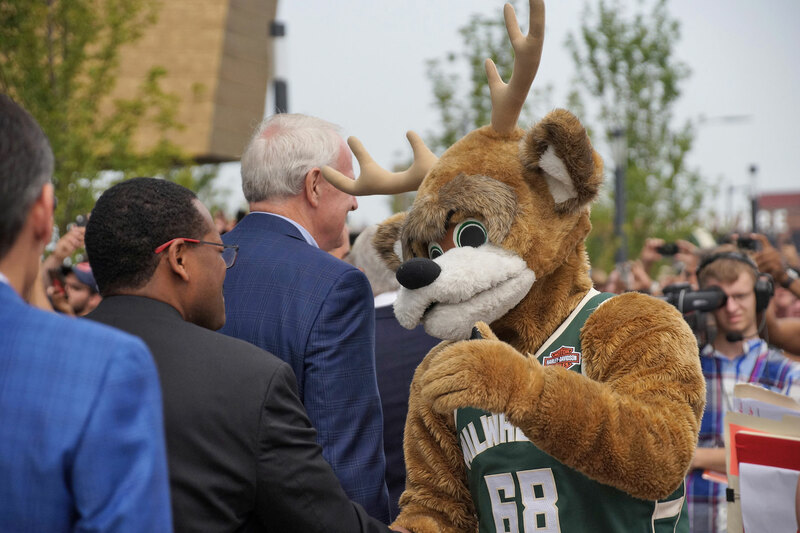 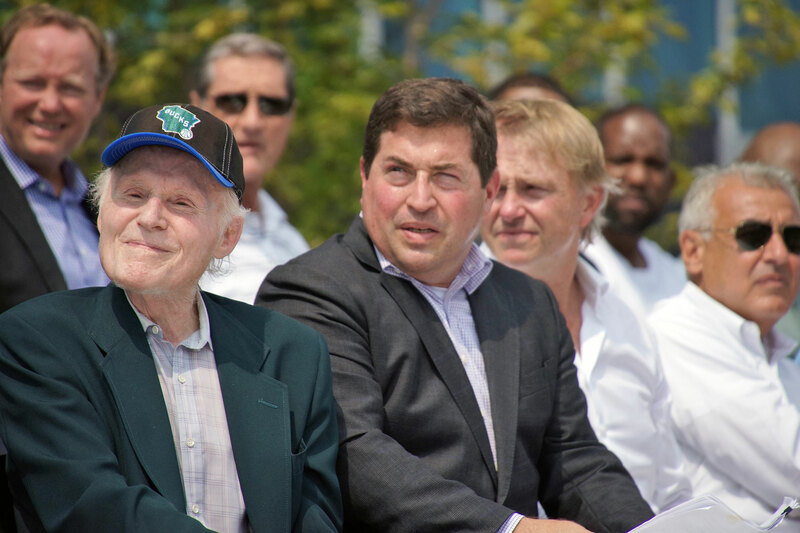 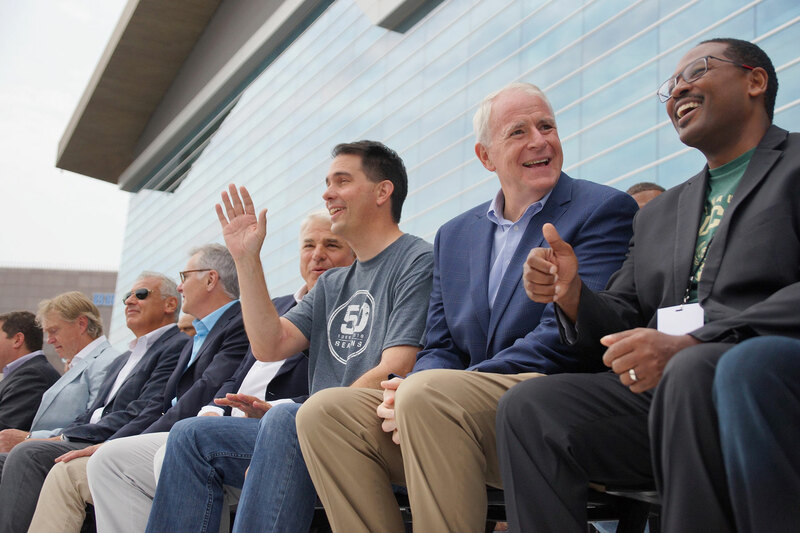 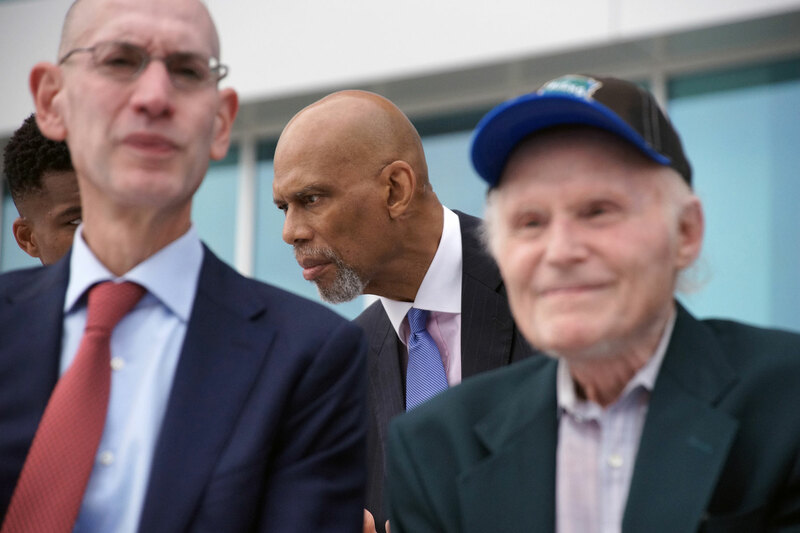 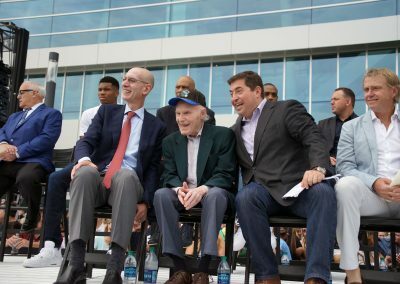 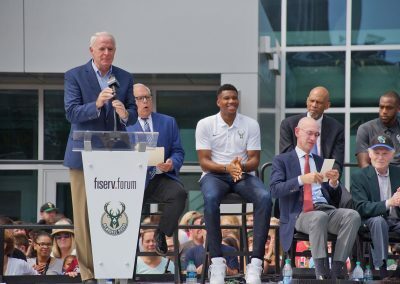 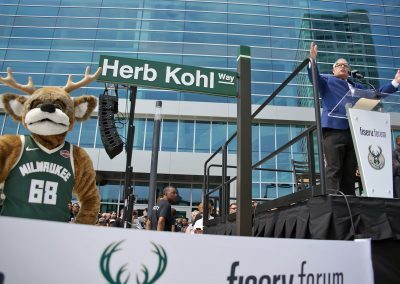 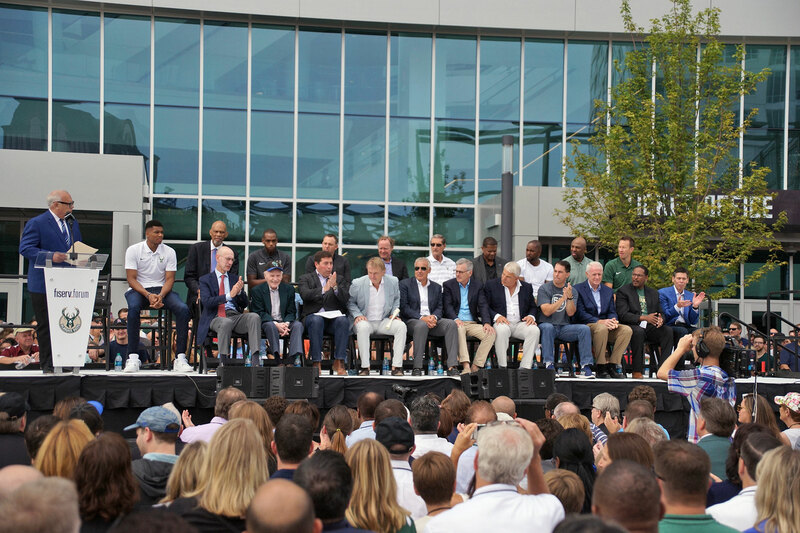 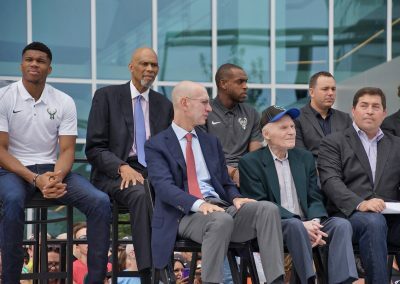 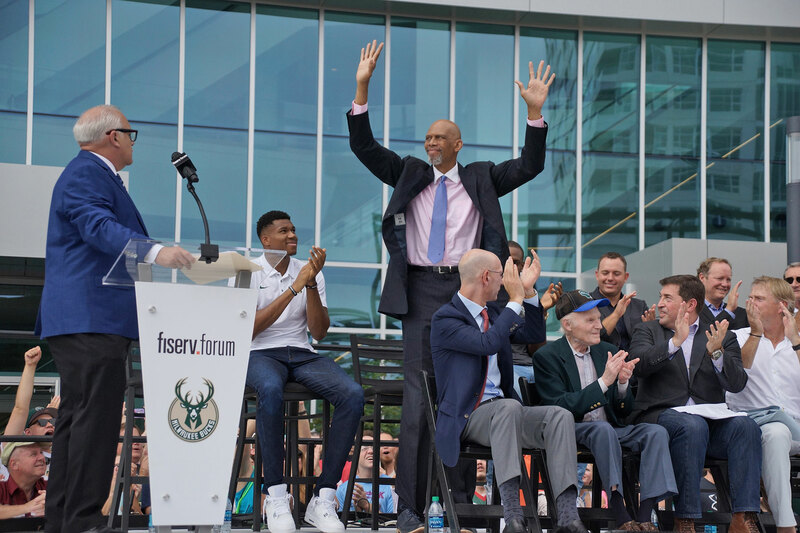 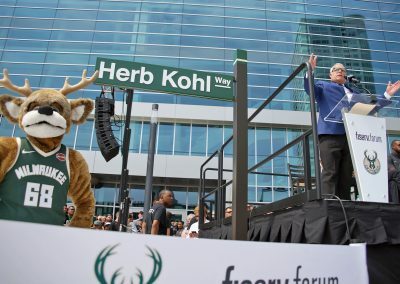 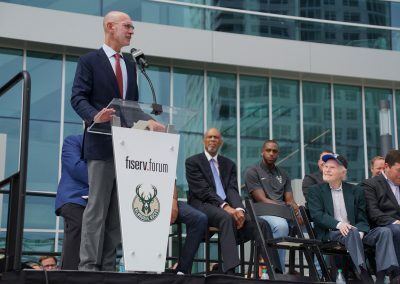 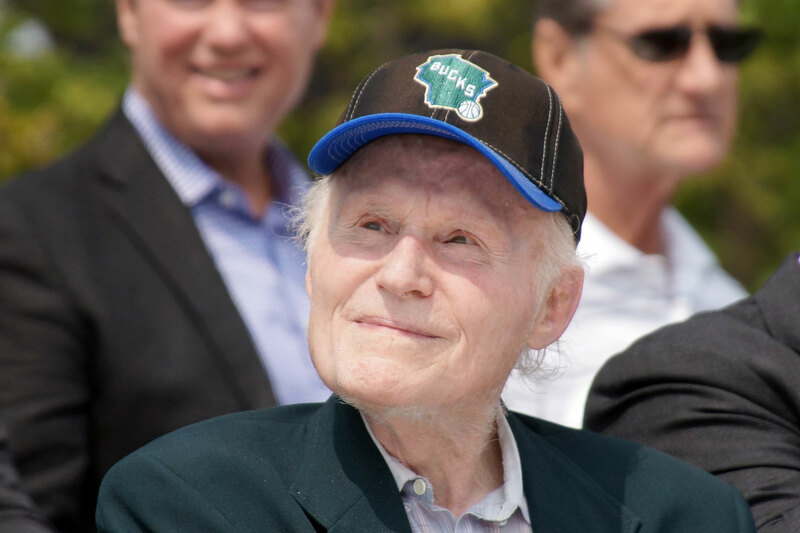 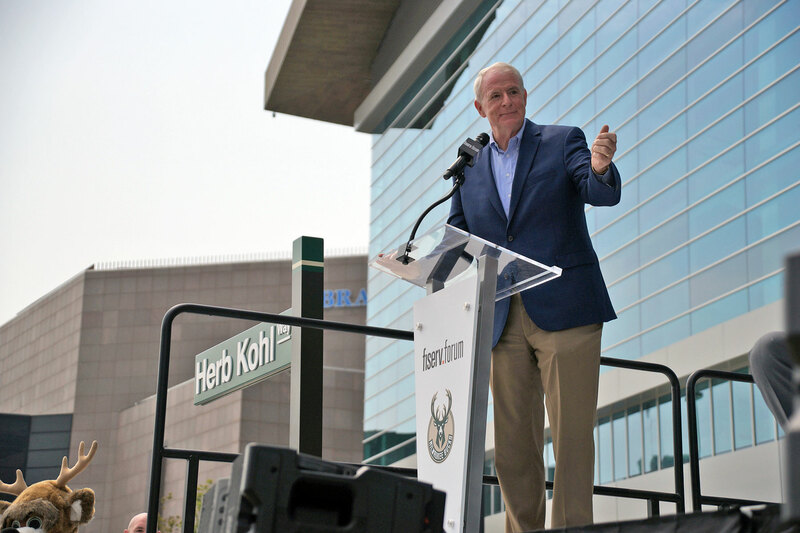 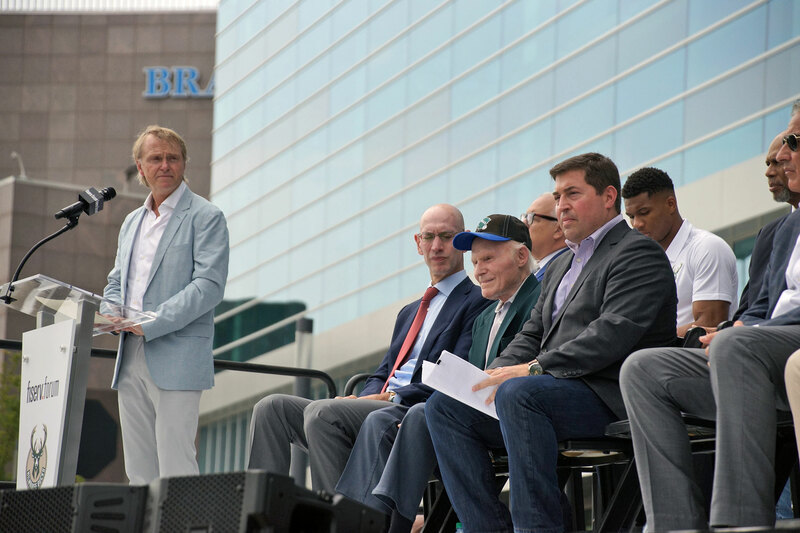 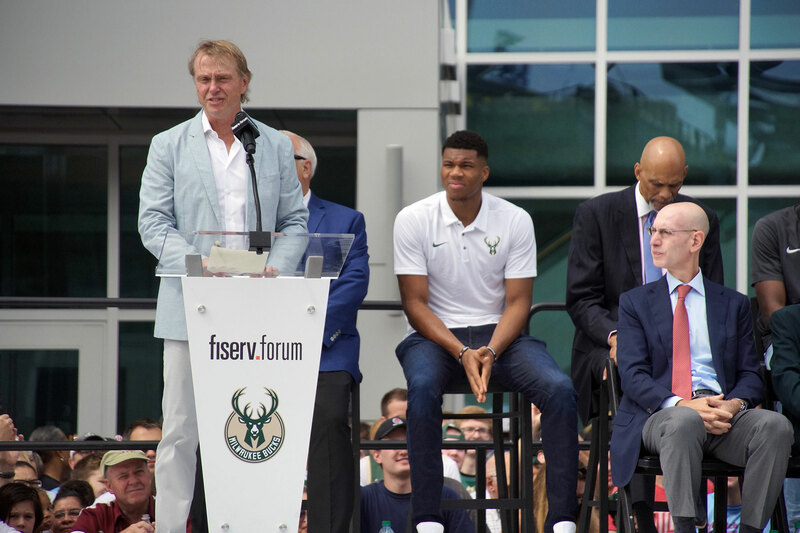 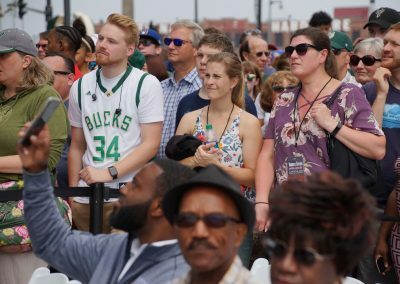 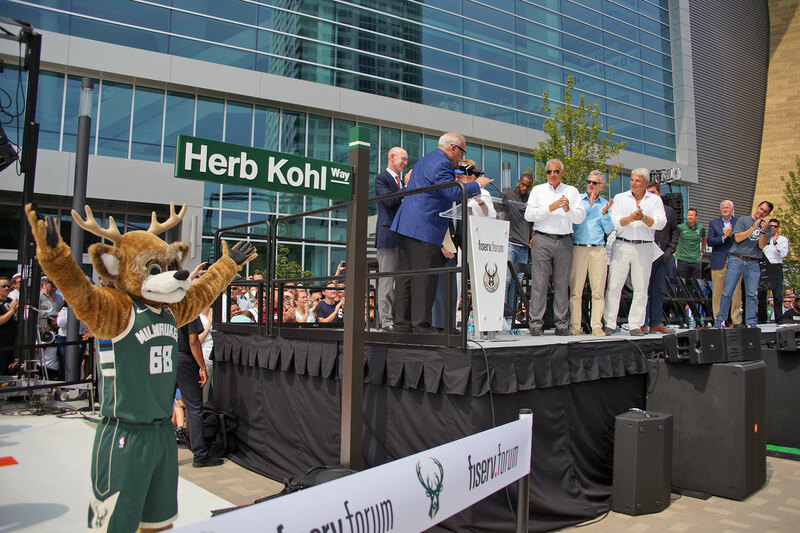 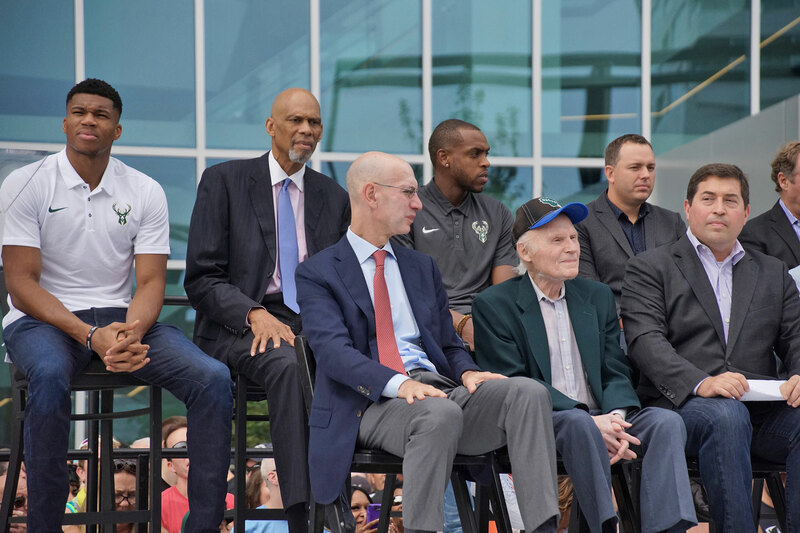 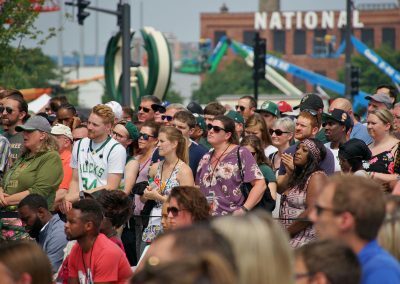 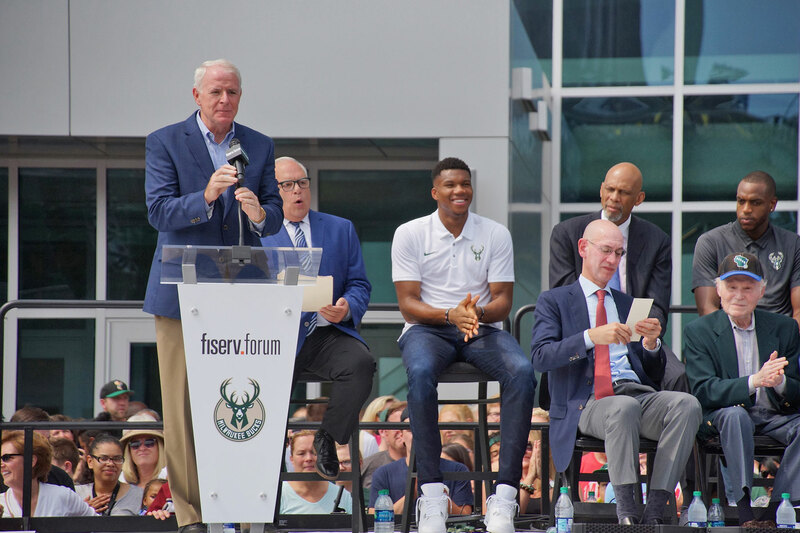 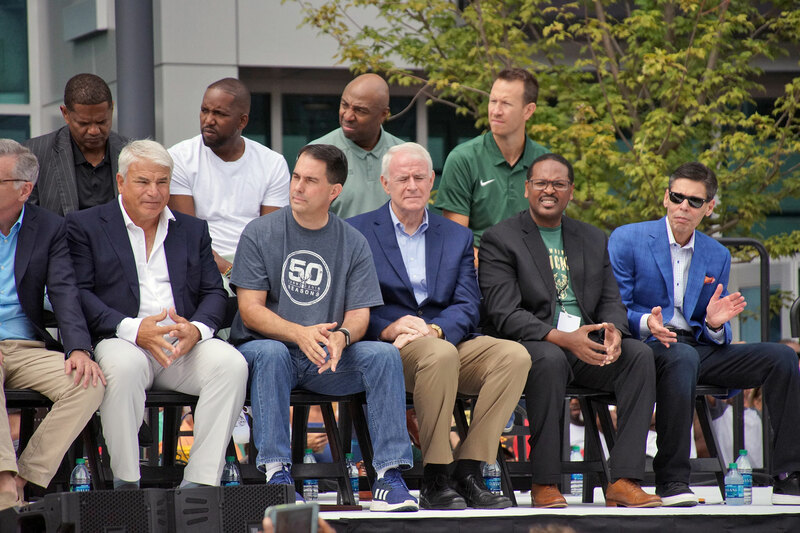 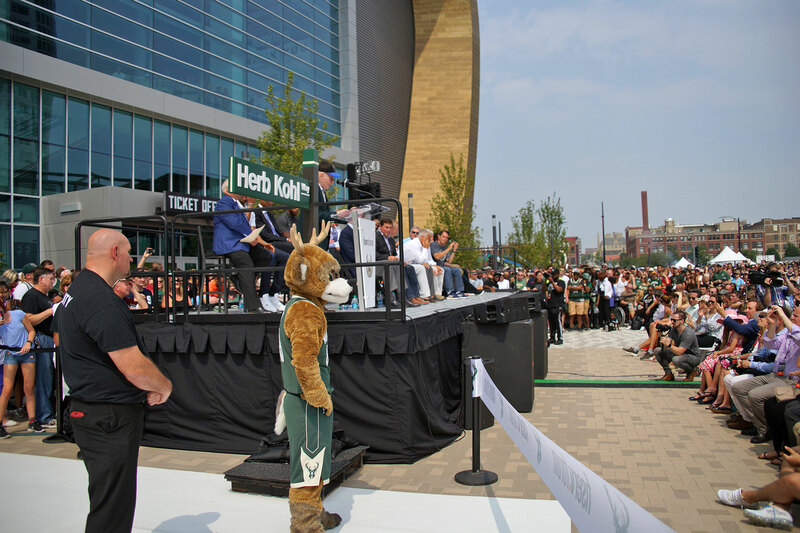 Former Bucks owner Senator Herb Kohl also attended the ribbon-cutting ceremony on August 26 and was honored by the Bucks for his 29-year stewardship of the team with the naming of Herb Kohl Way for the block in front of Fiserv Forum. 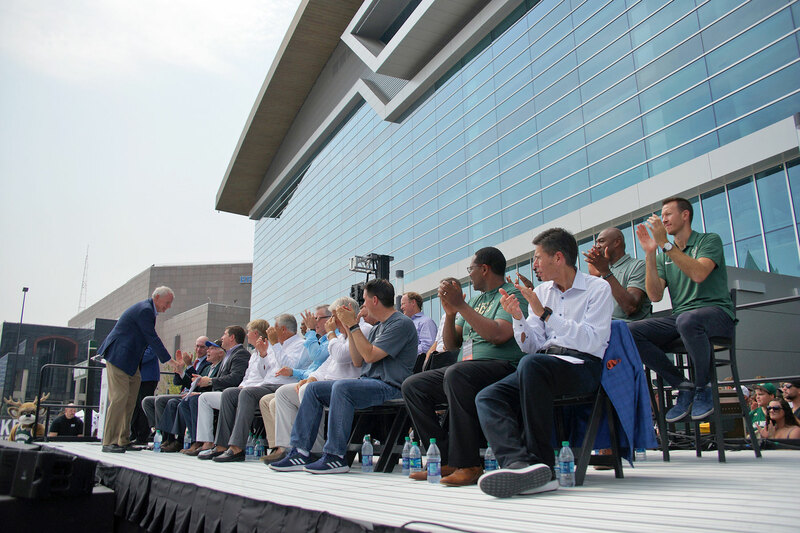 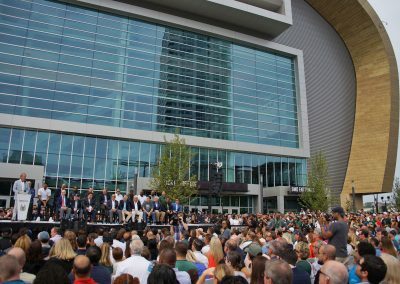 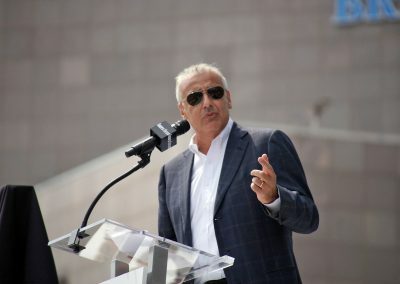 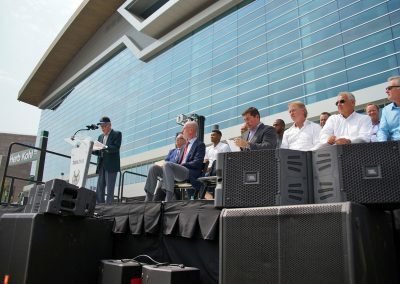 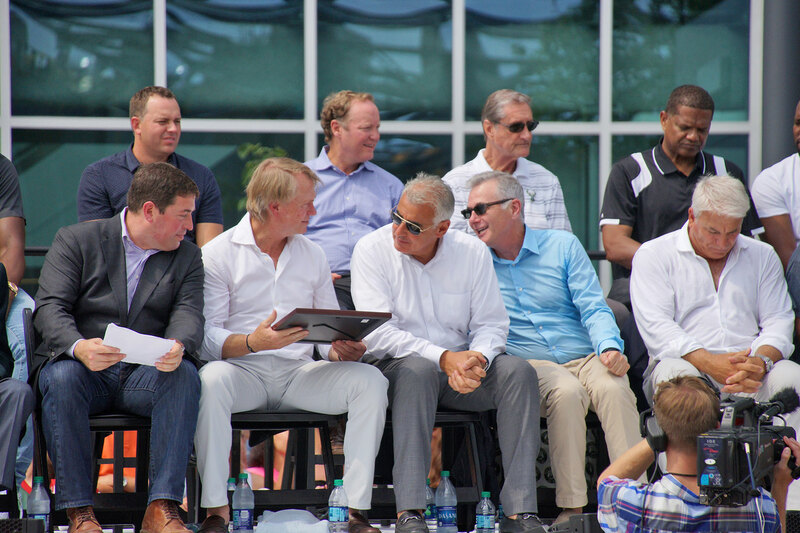 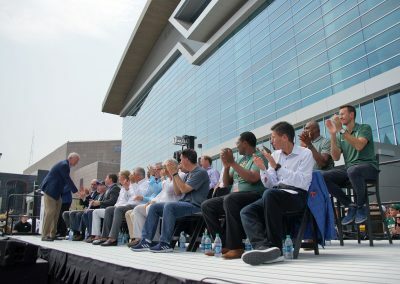 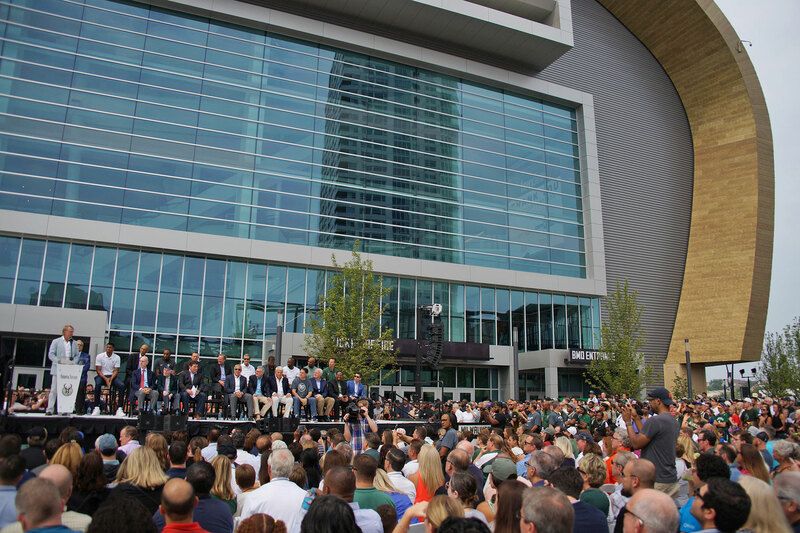 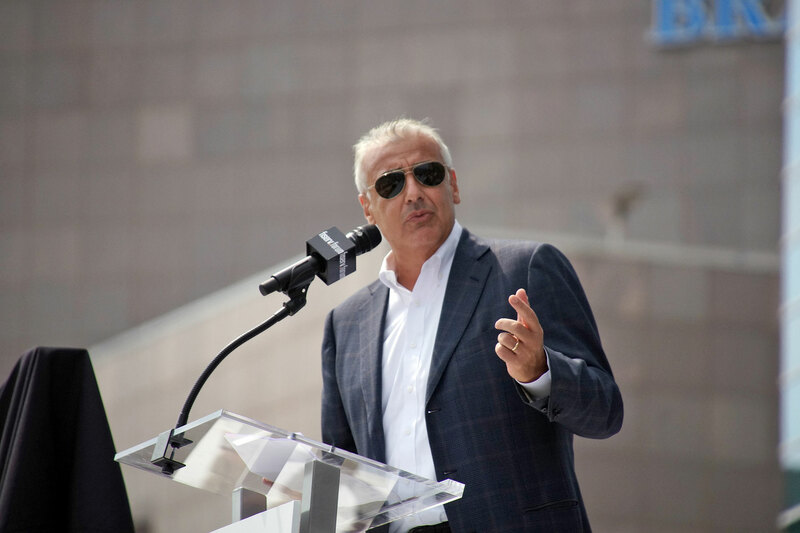 The groundbreaking ceremony for the new arena was held on June 18, 2016, with substantial completion of the building having occurred on July 31, 2018. 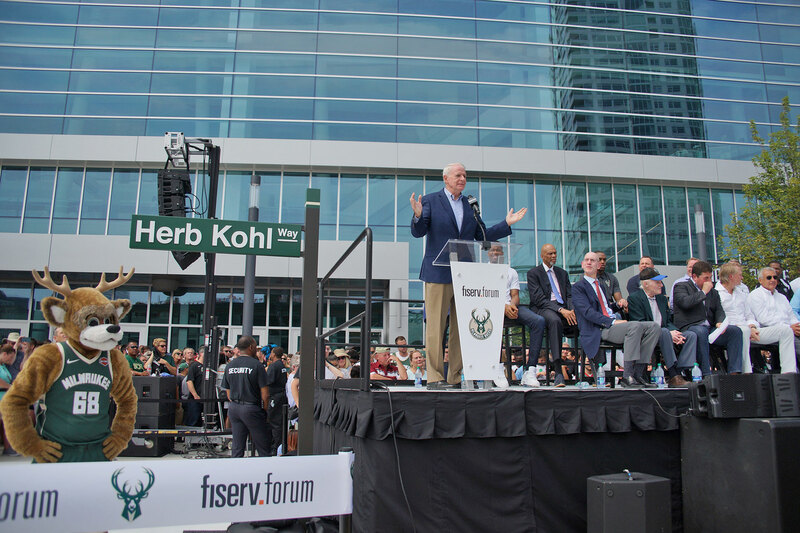 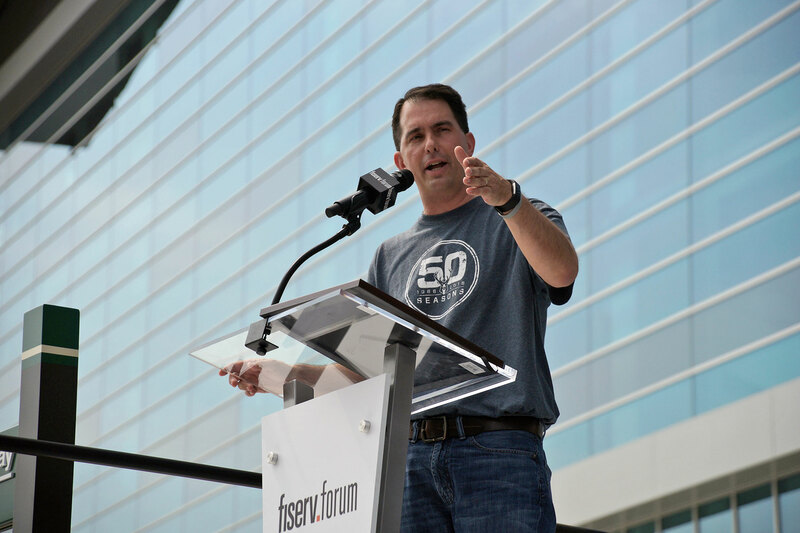 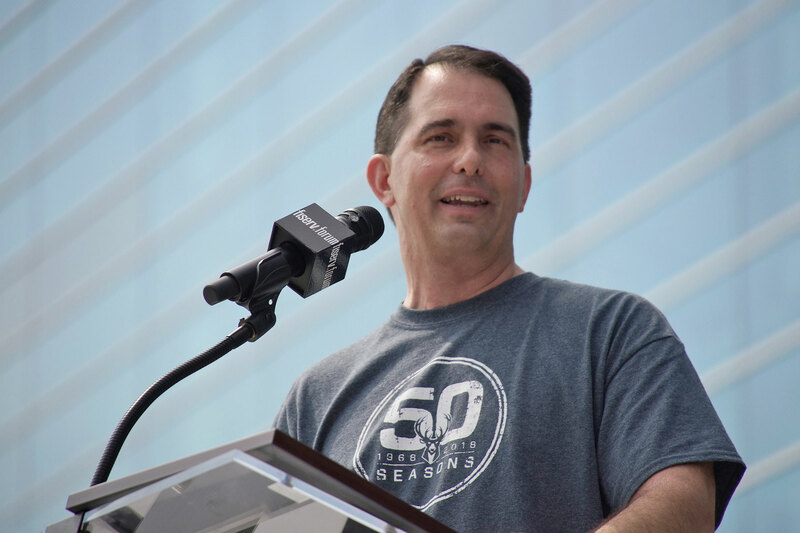 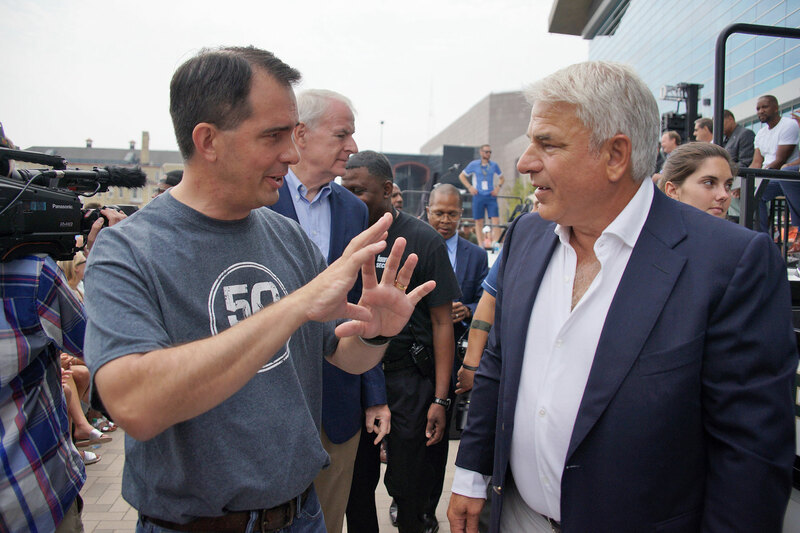 Over 3,800 craft workers spent two million total work hours building Fiserv Forum, with 76 percent of the contracts to build the venue completed with Wisconsin companies. 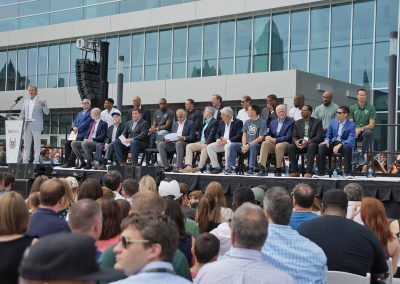 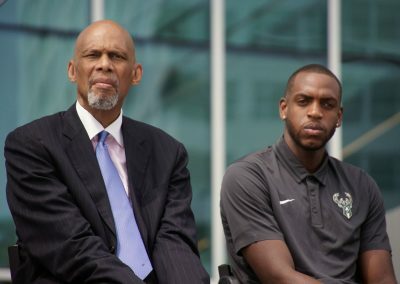 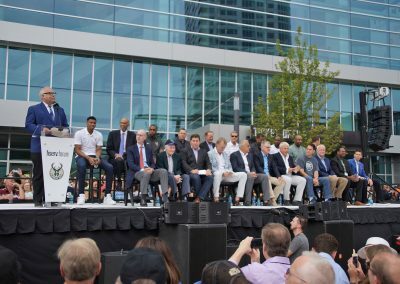 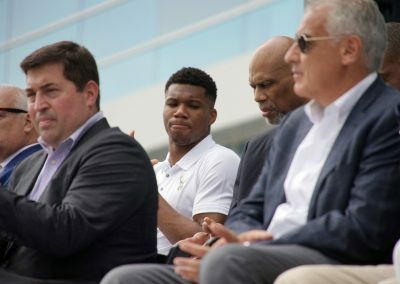 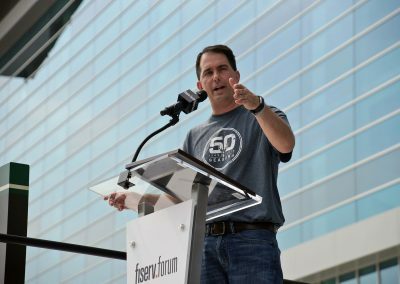 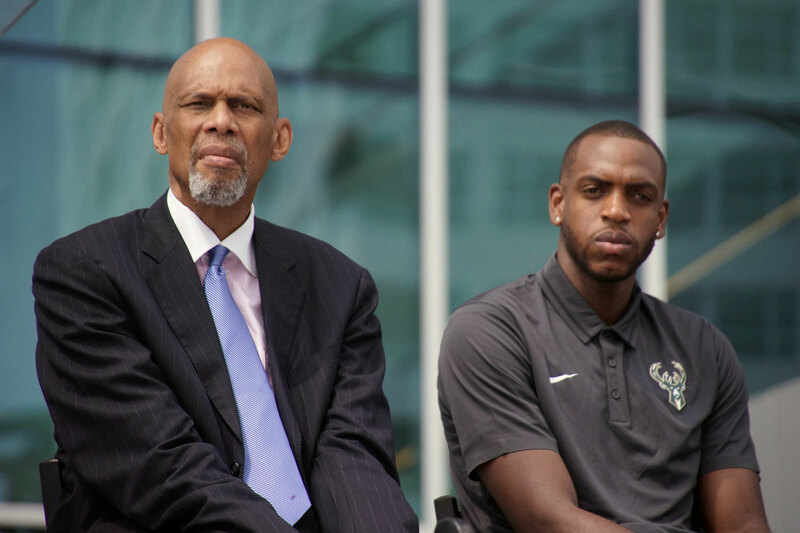 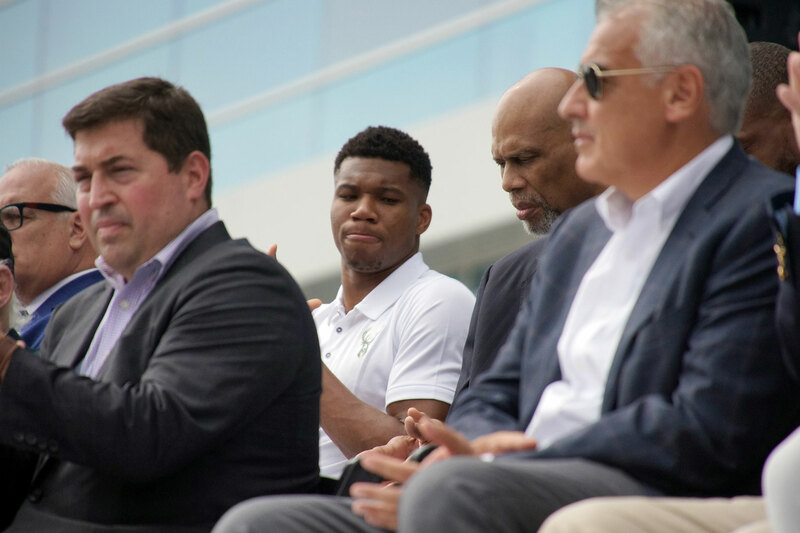 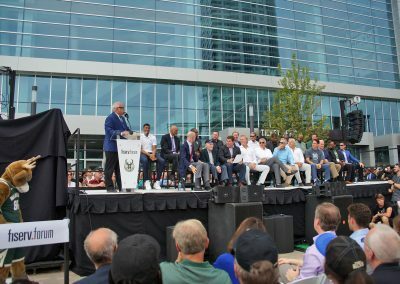 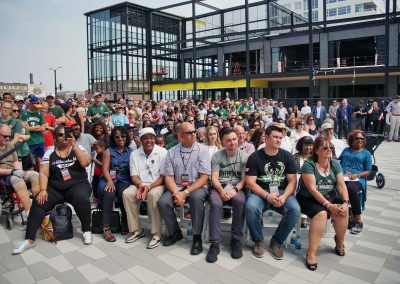 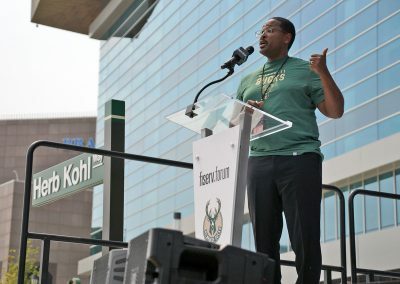 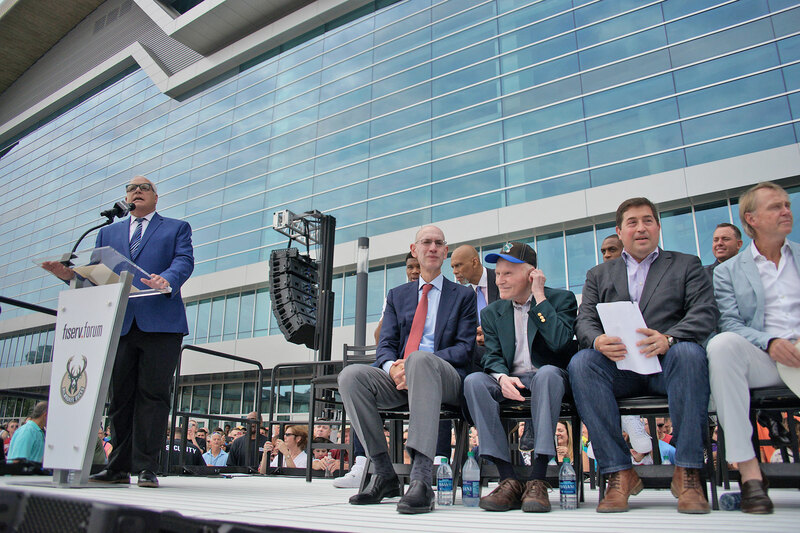 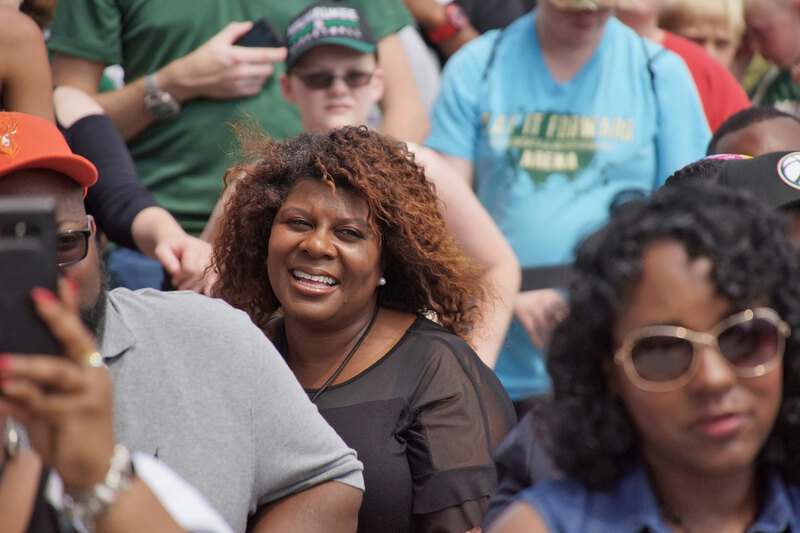 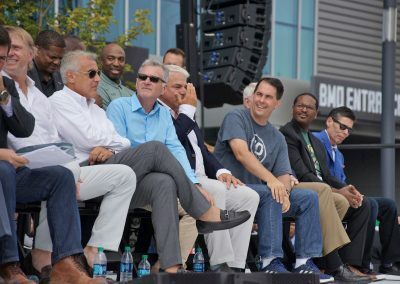 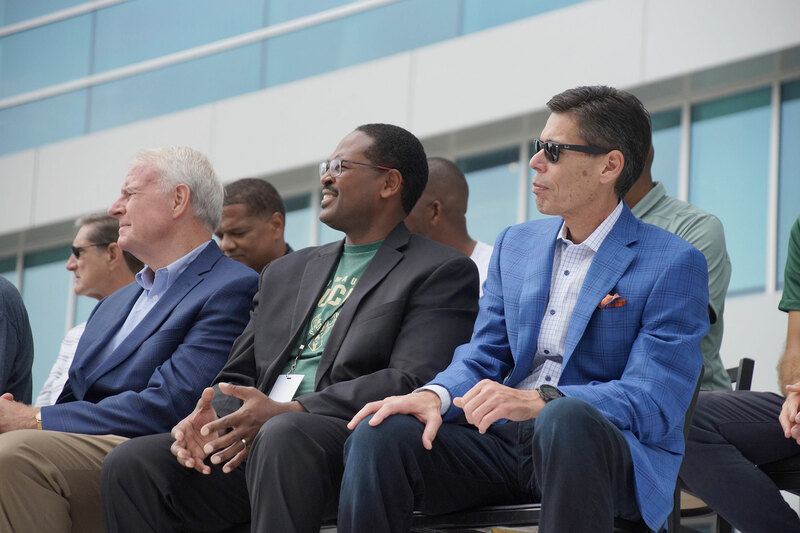 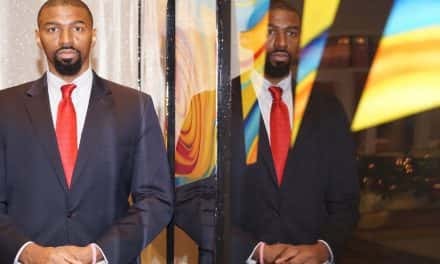 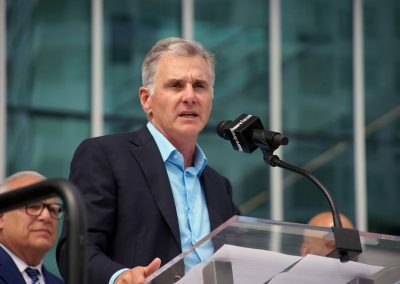 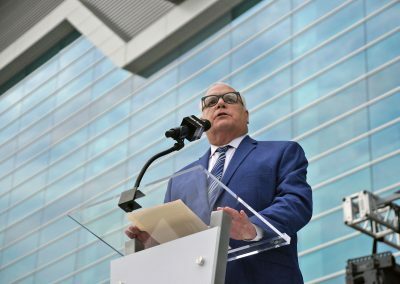 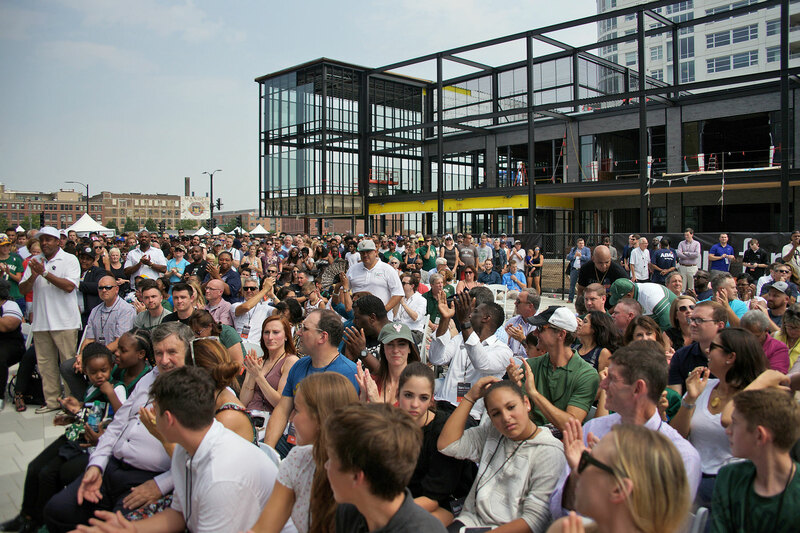 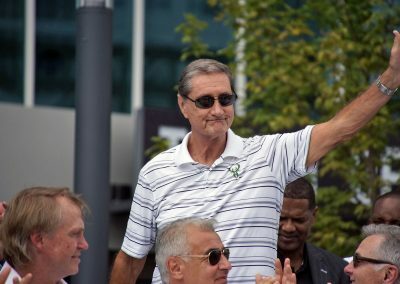 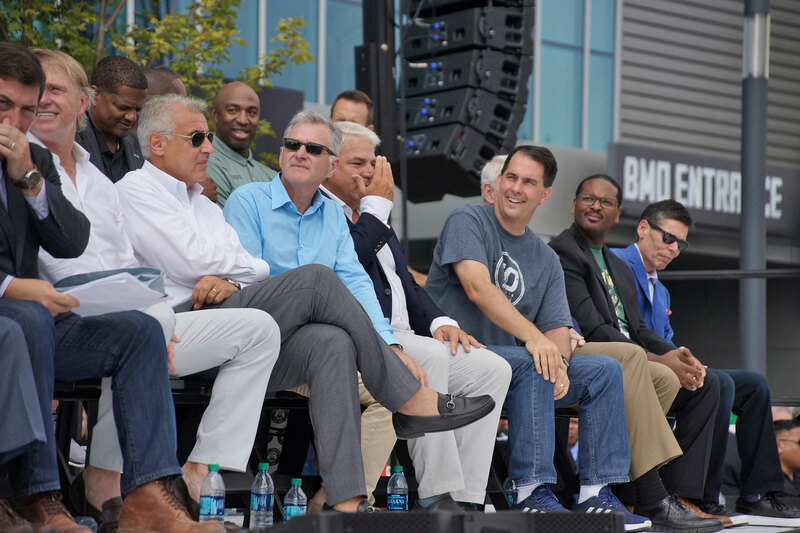 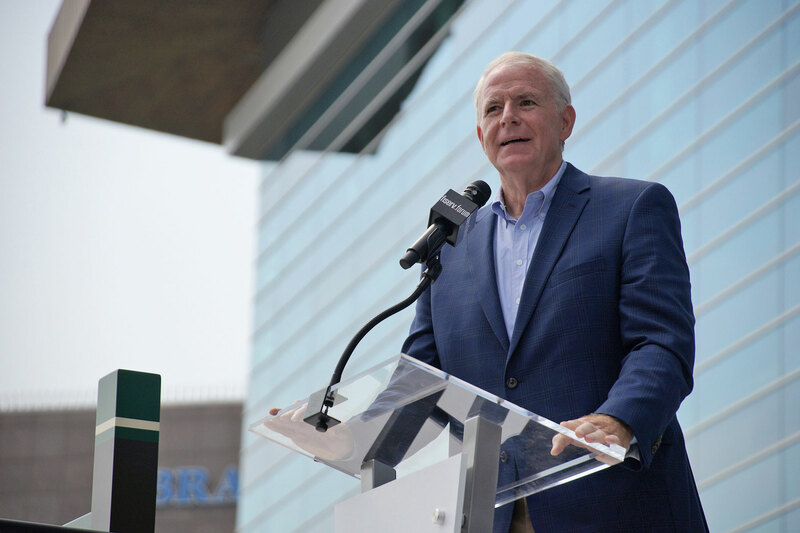 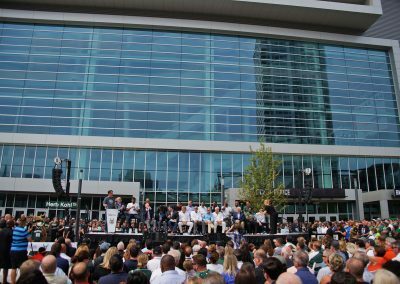 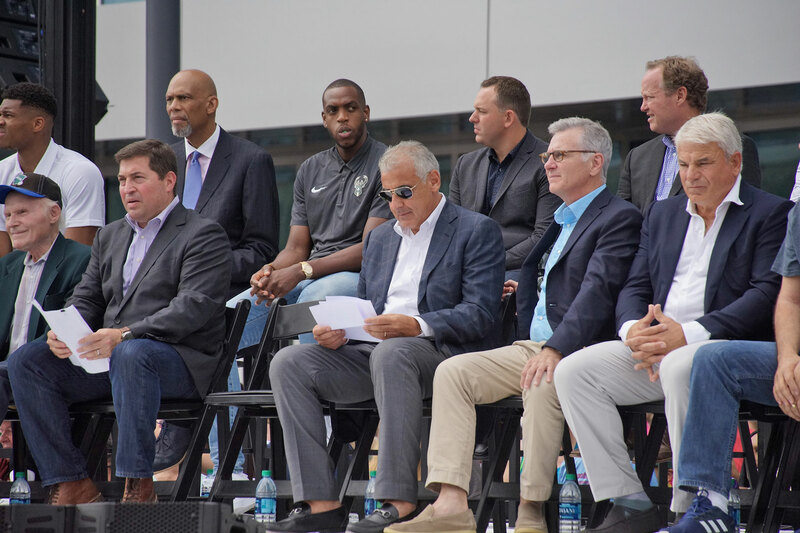 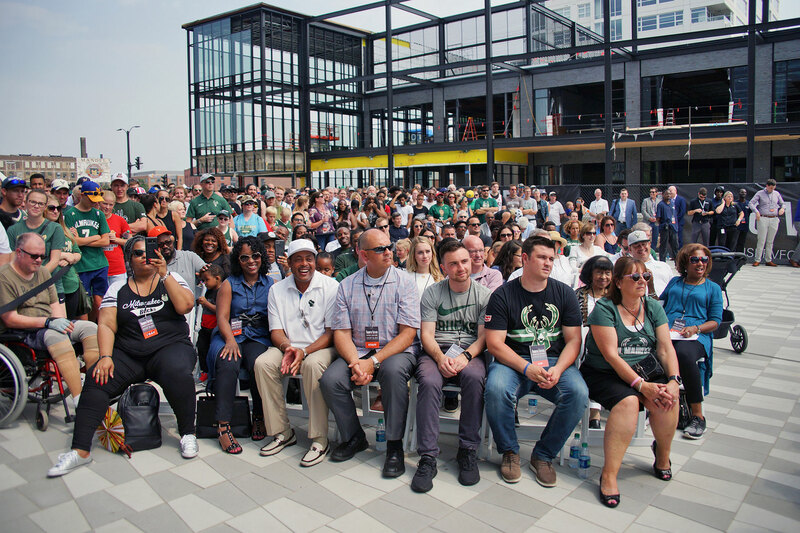 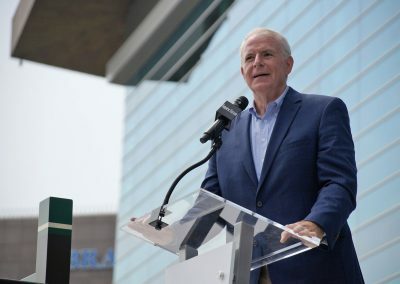 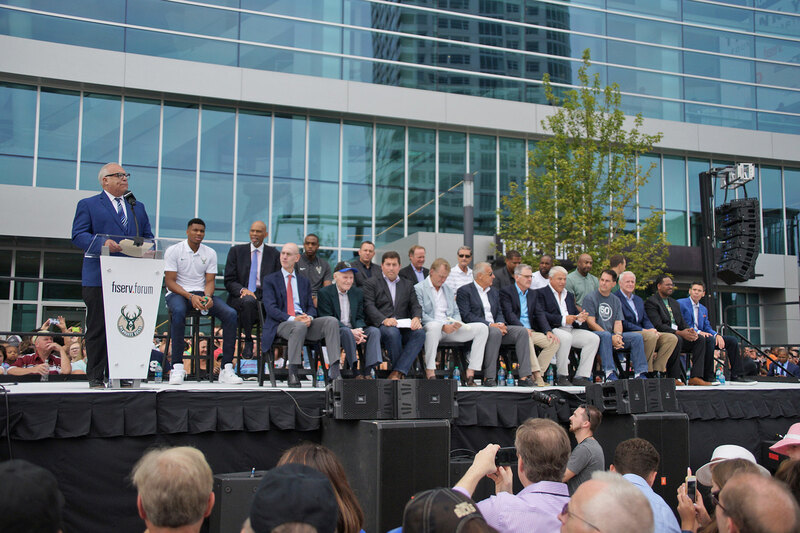 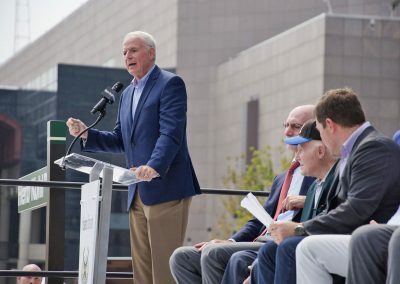 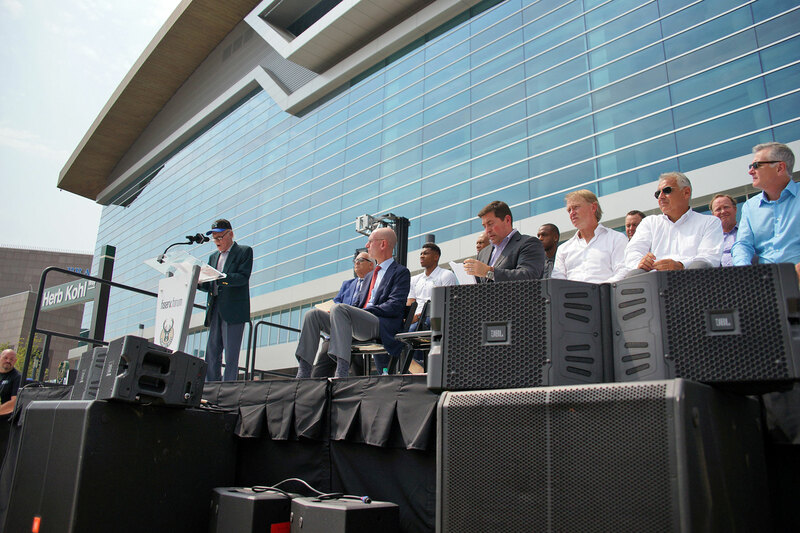 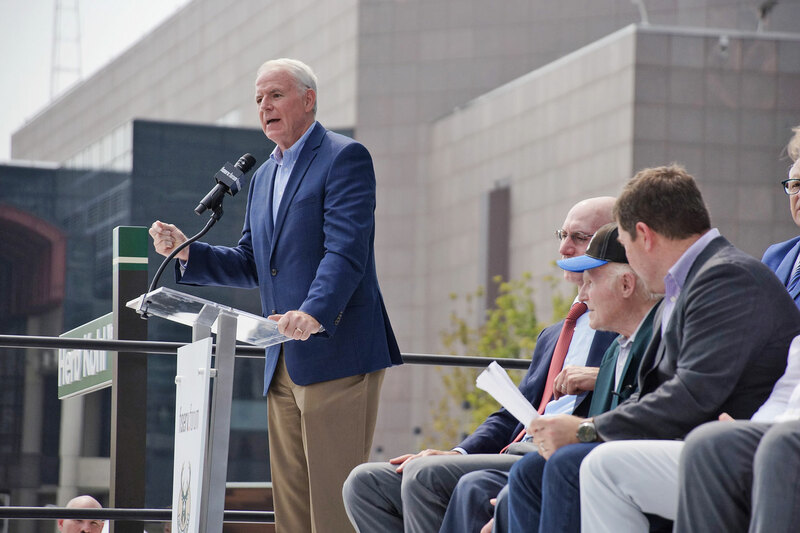 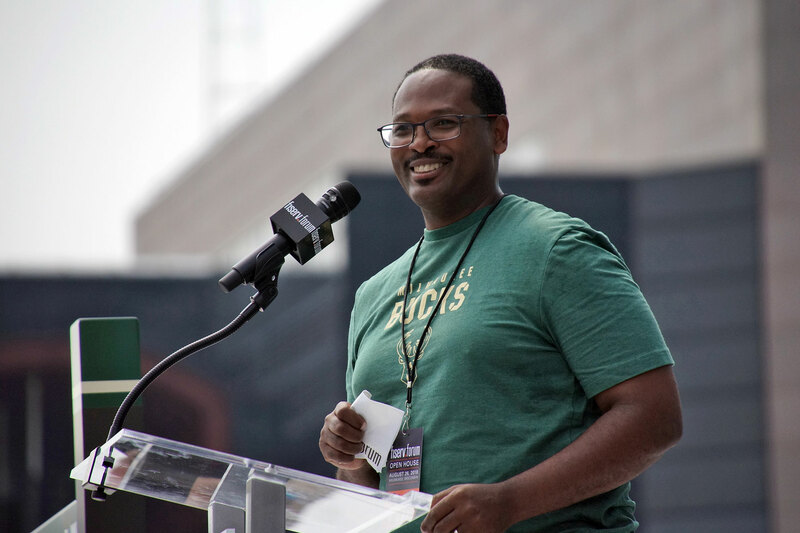 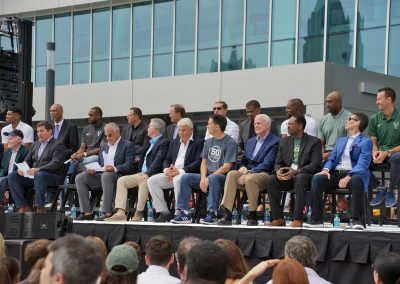 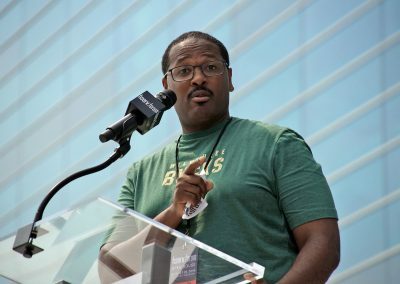 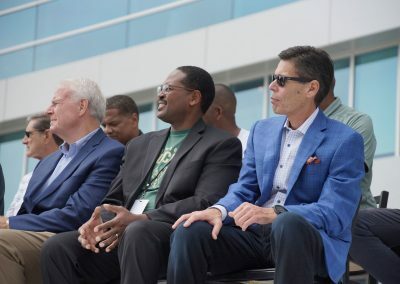 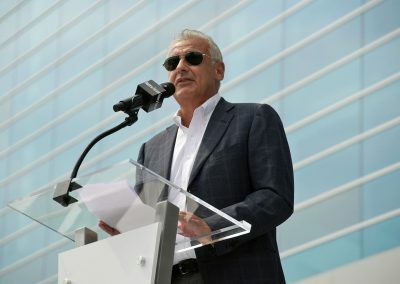 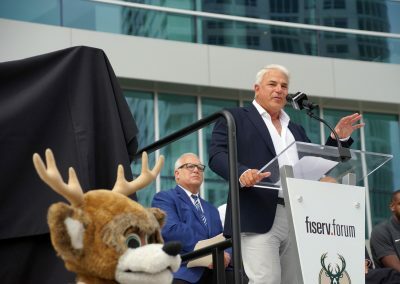 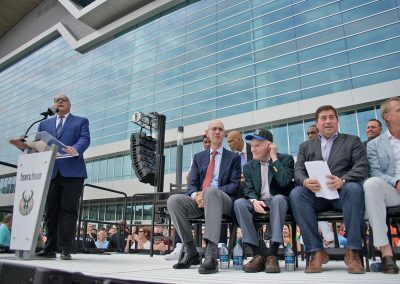 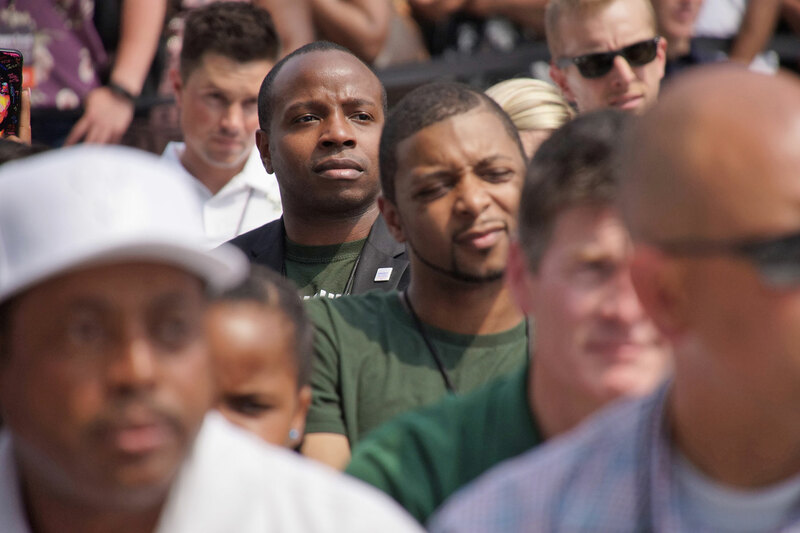 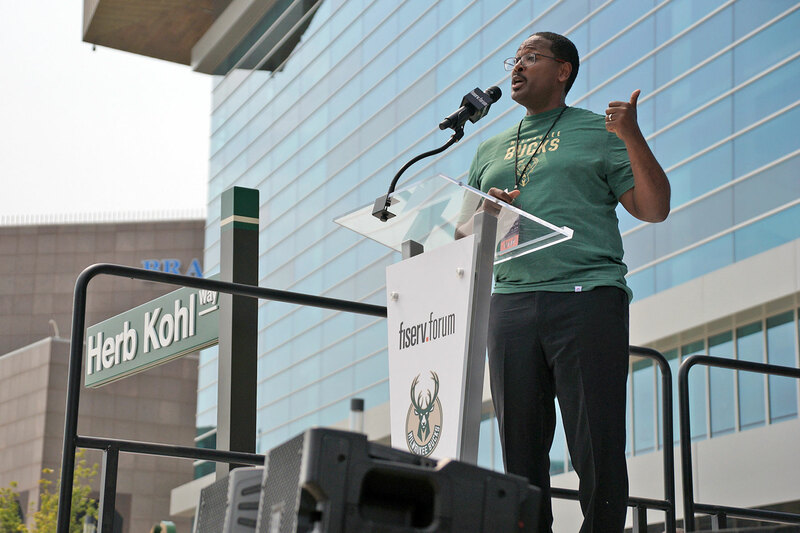 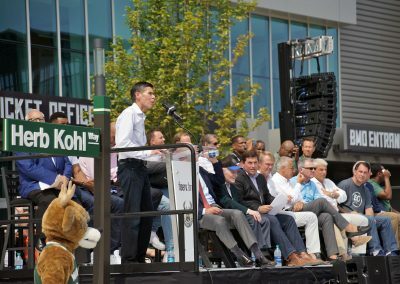 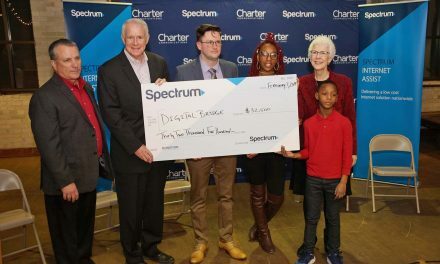 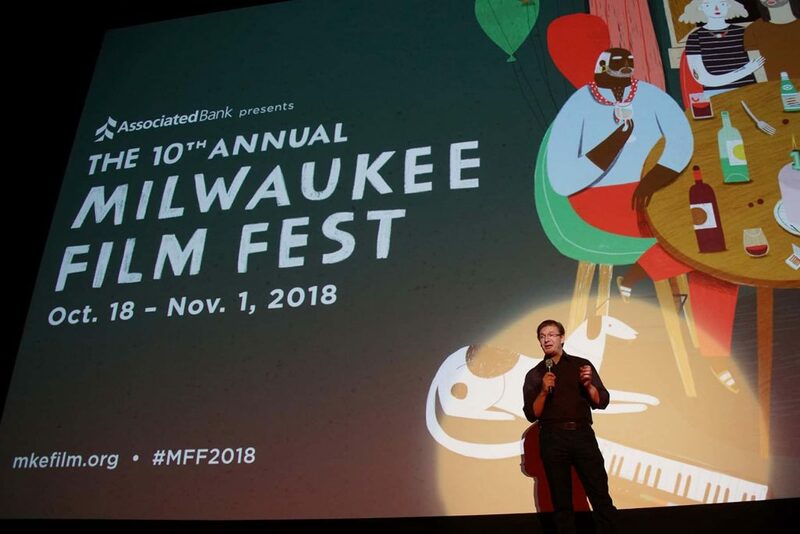 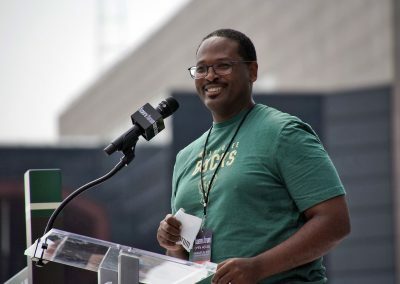 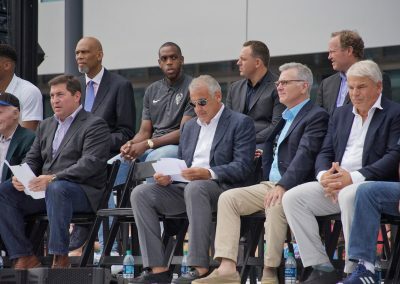 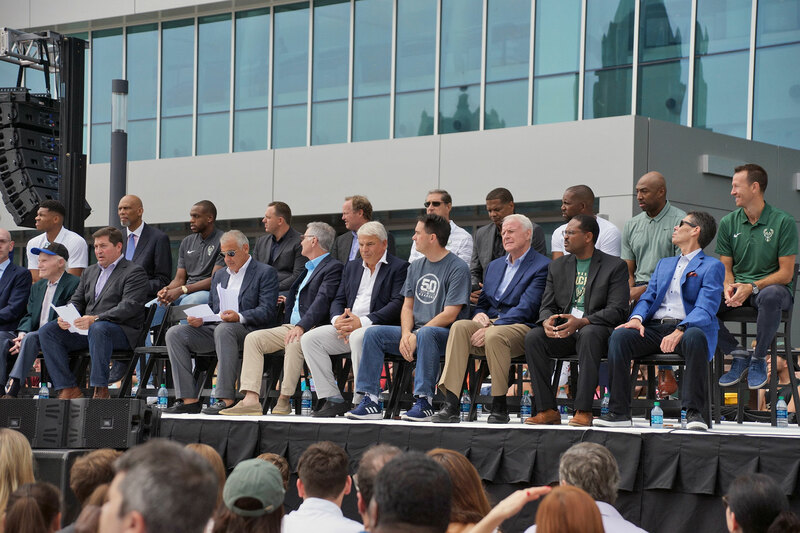 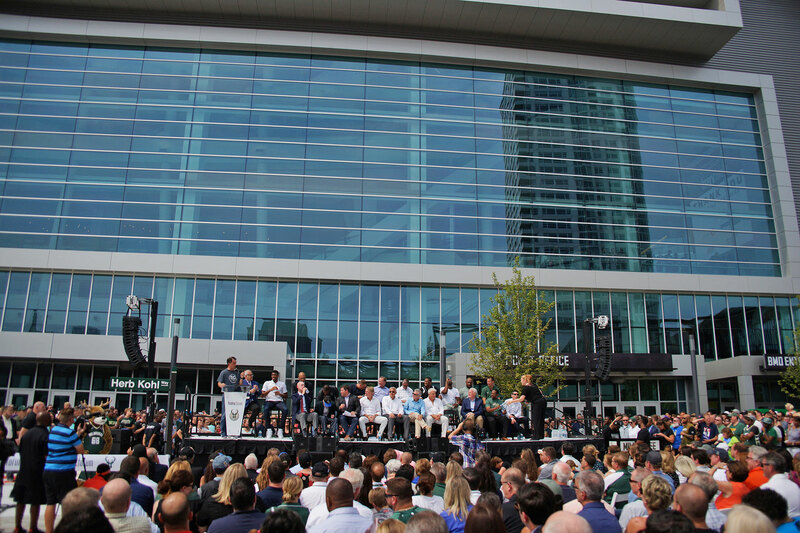 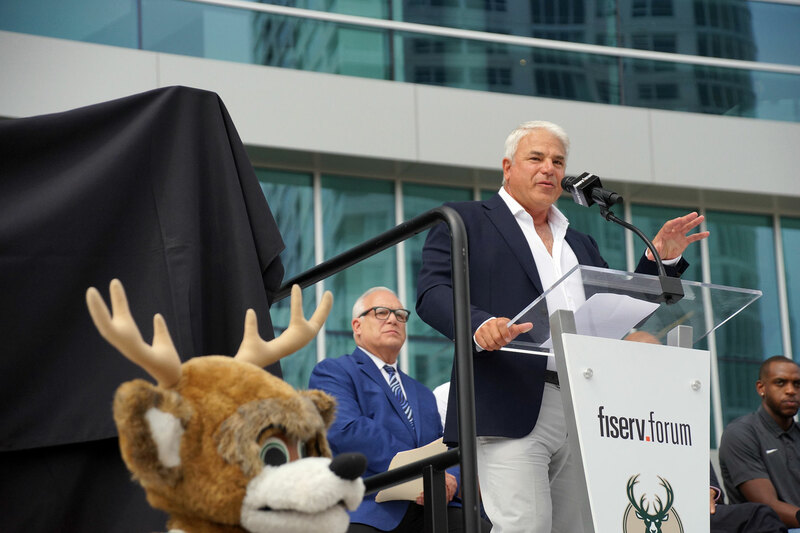 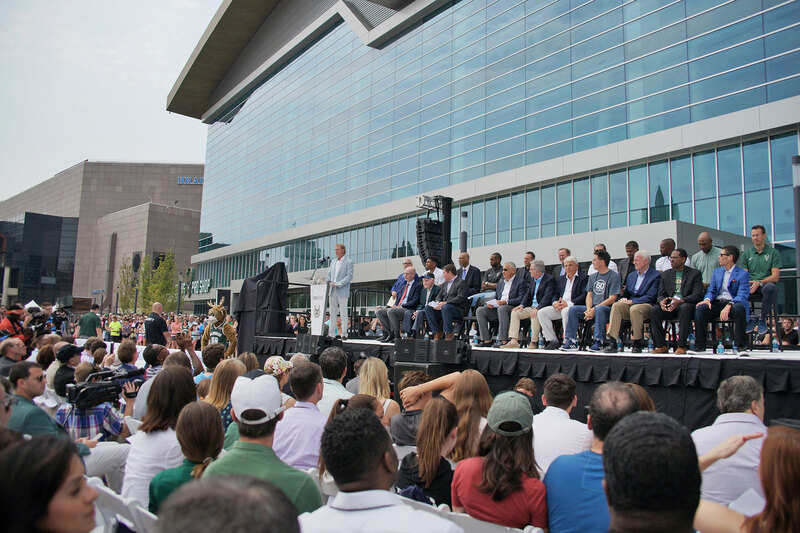 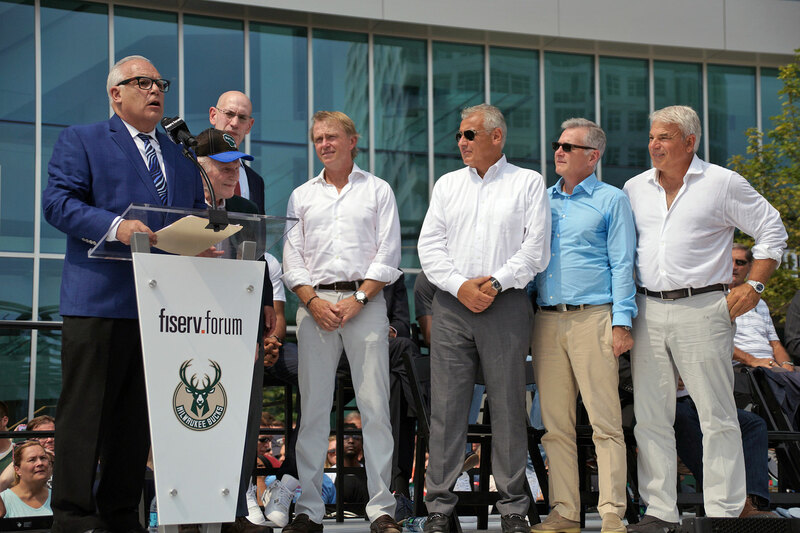 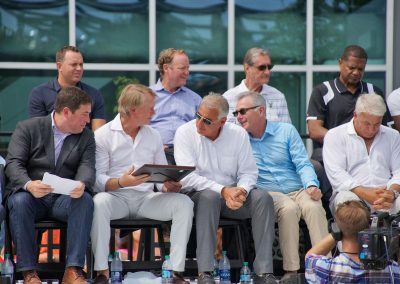 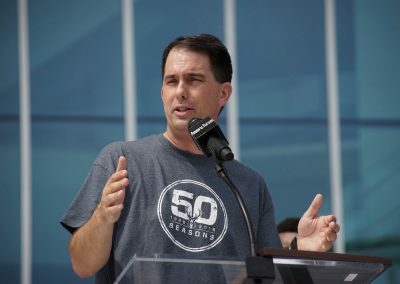 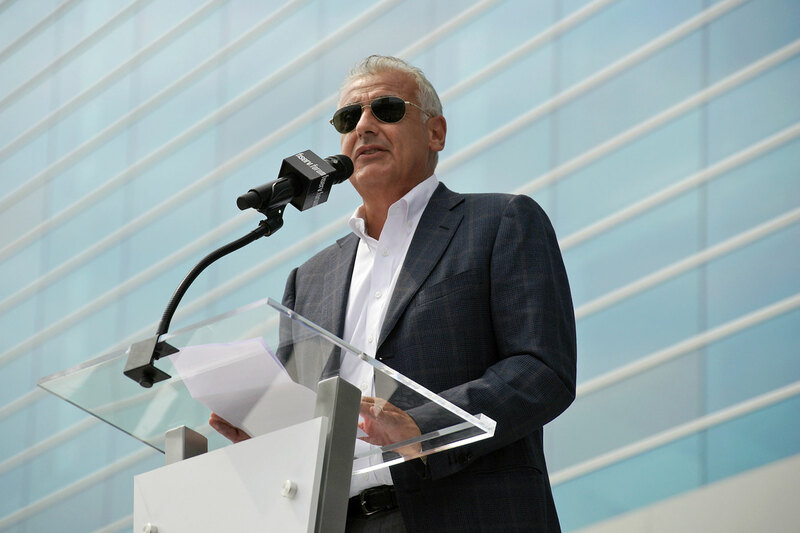 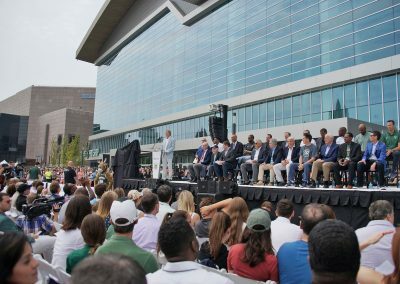 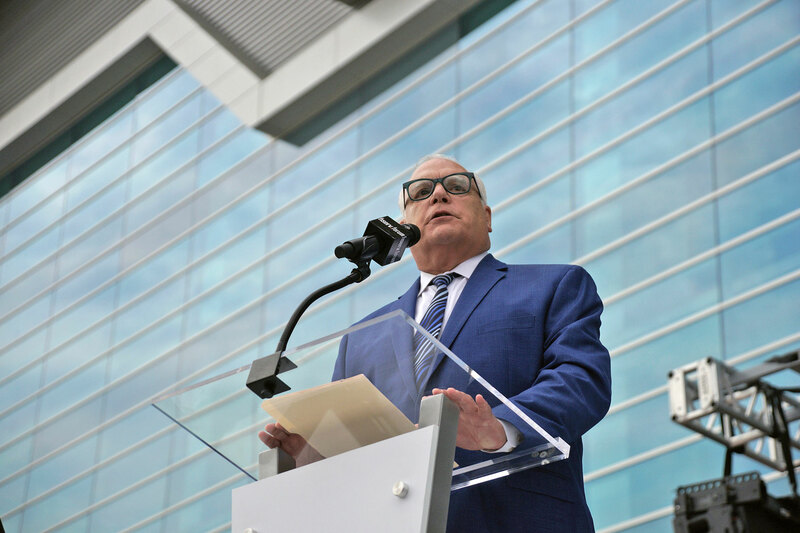 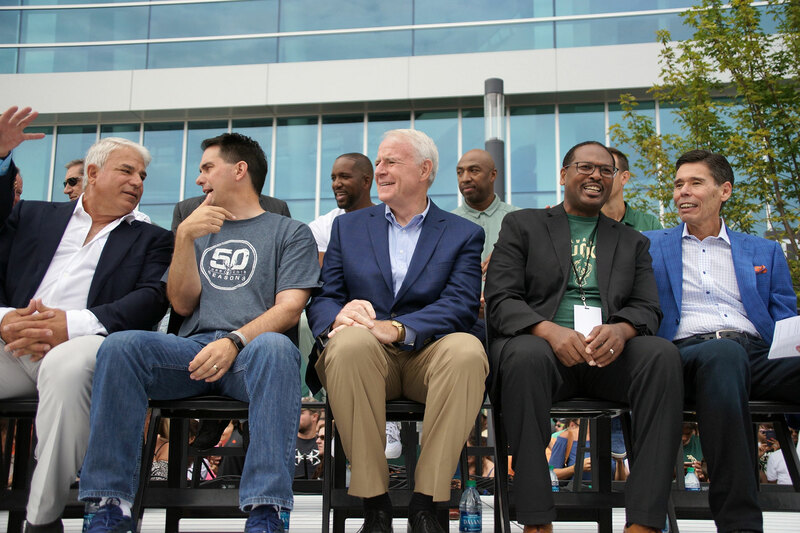 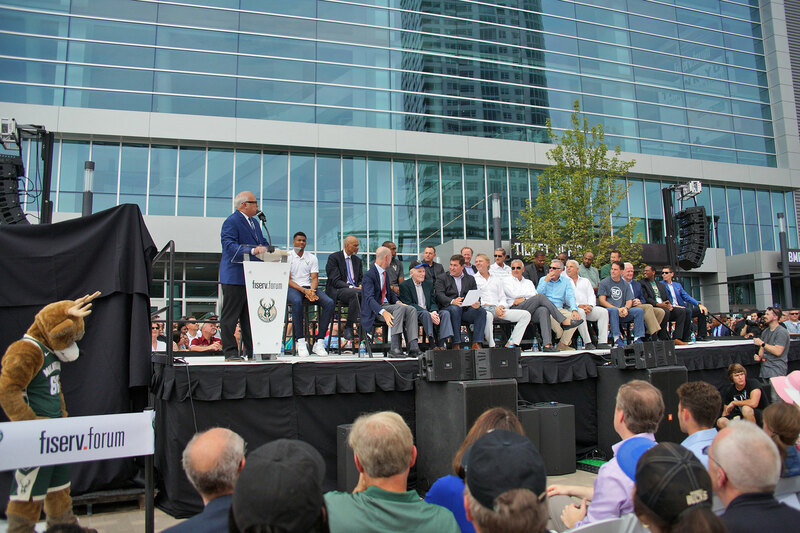 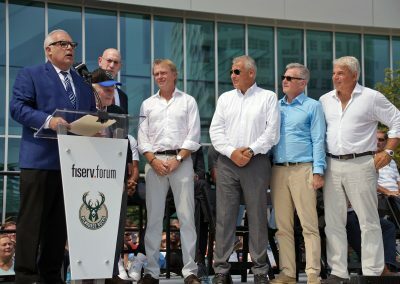 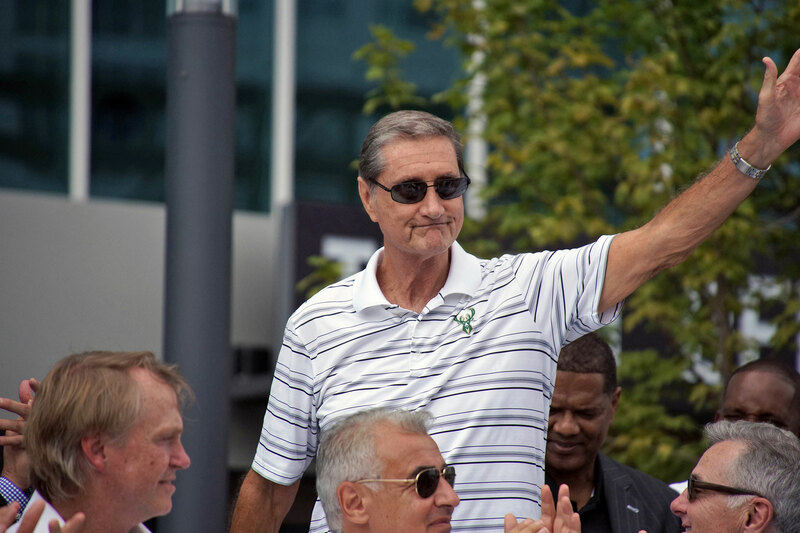 The audio was recorded live during the event on the plaza outside the Fiserv Forum, and quotes were provided after the ribbon-cutting ceremony concluded. 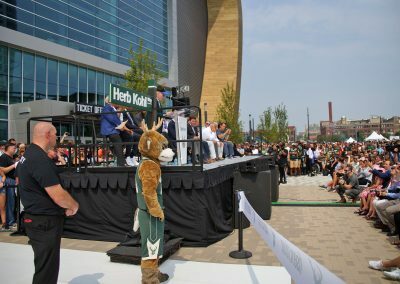 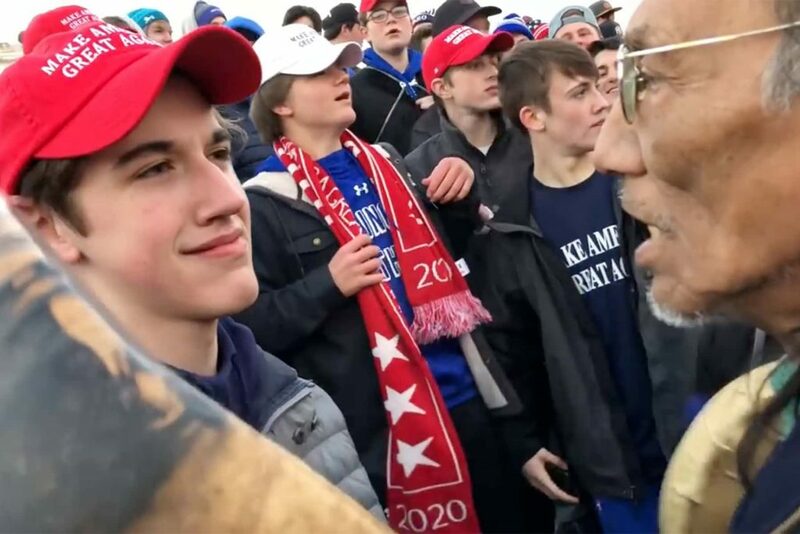 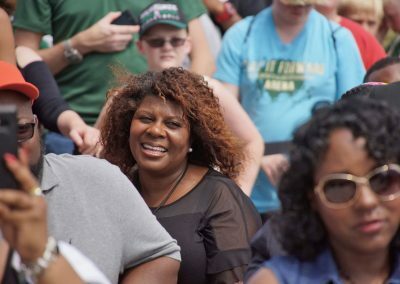 The images capture highlights from the arena opening that saw tens of thousands of area residents attend in celebration.